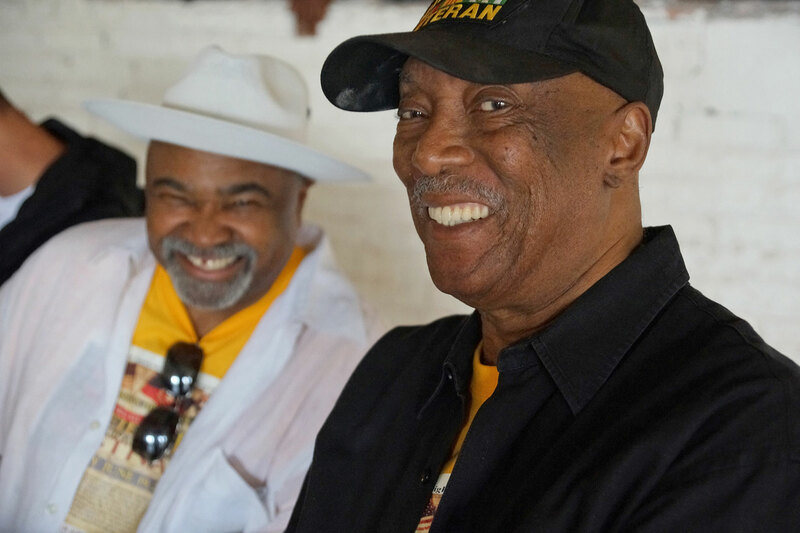 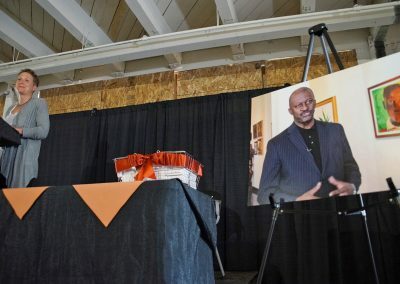 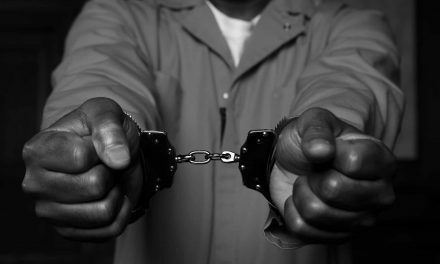 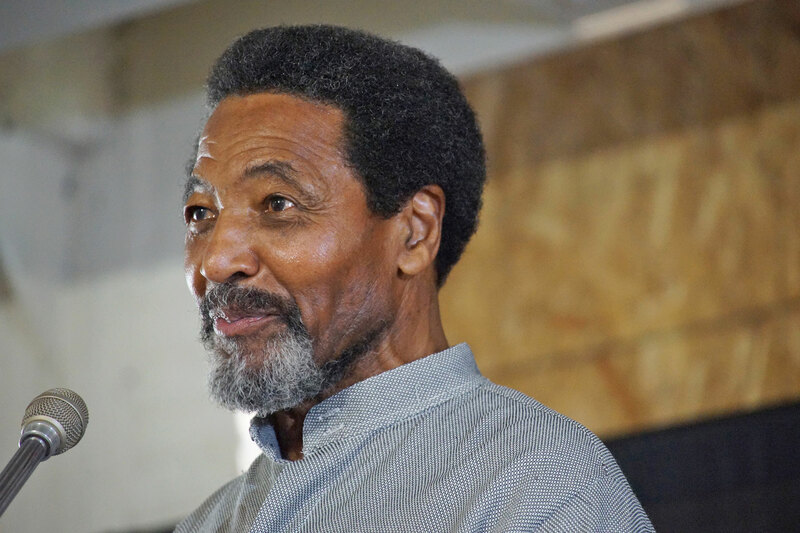 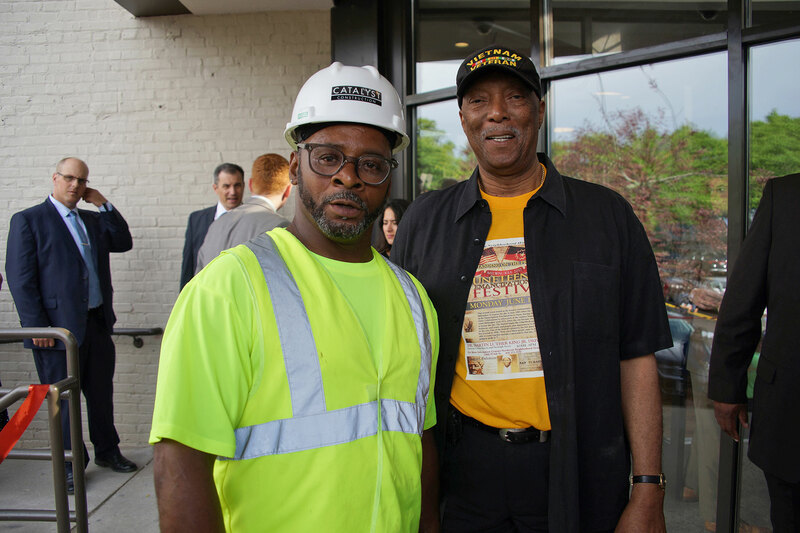 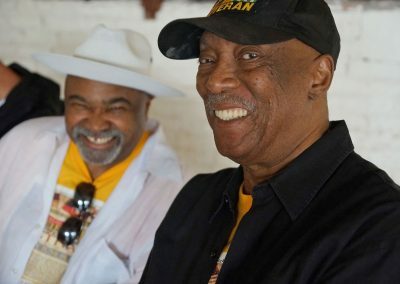 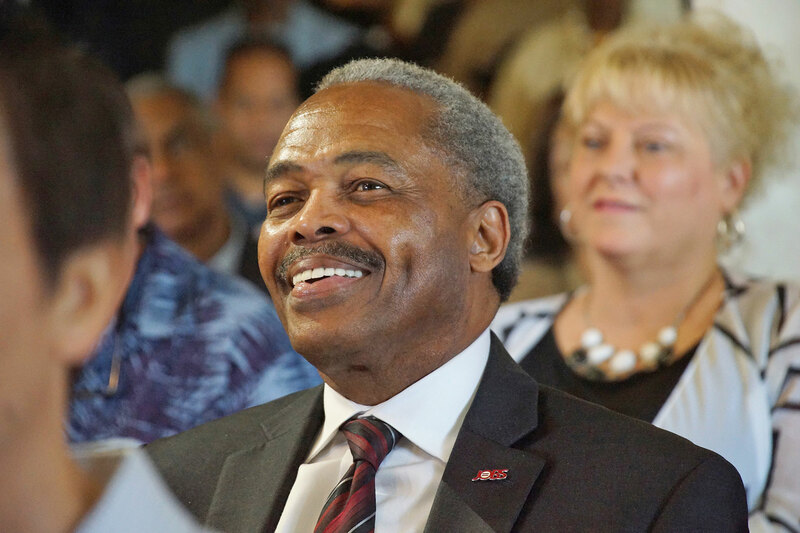 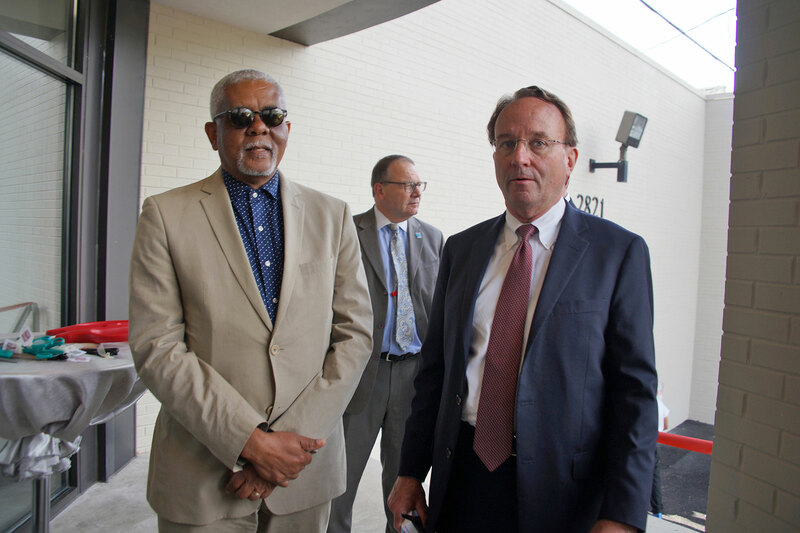 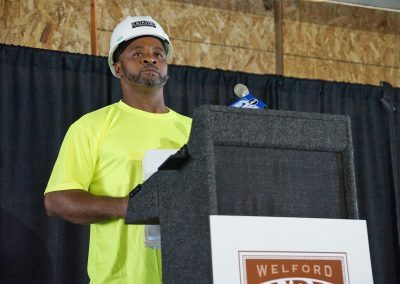 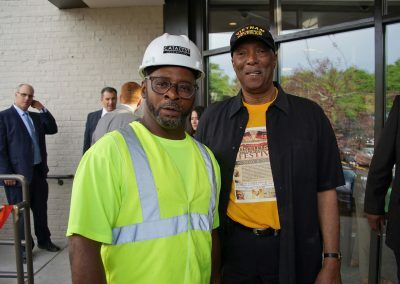 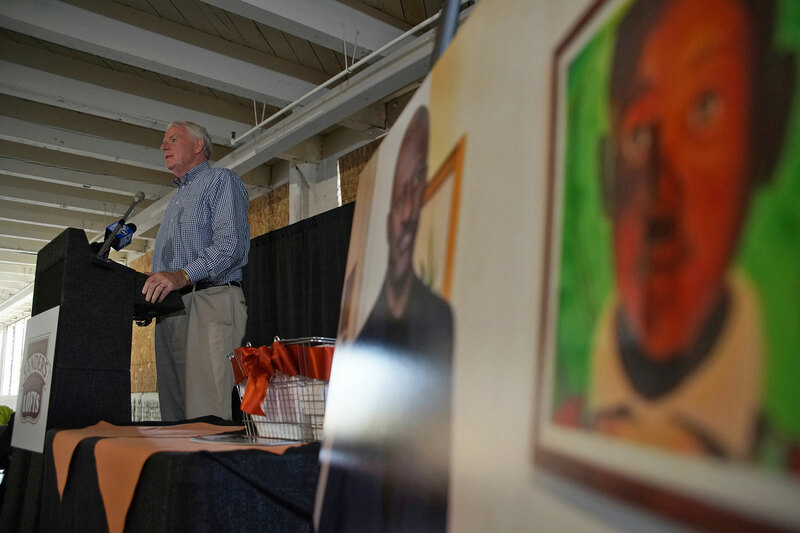 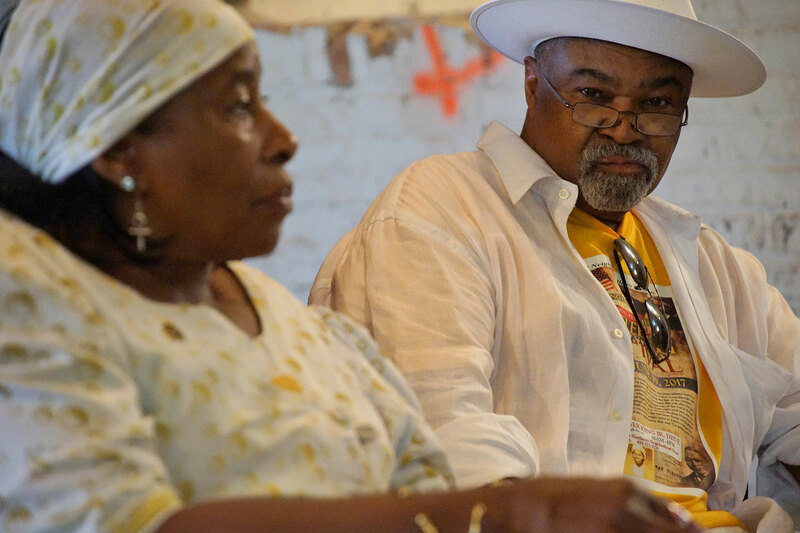 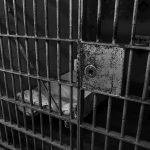 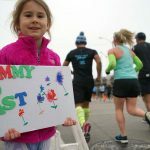 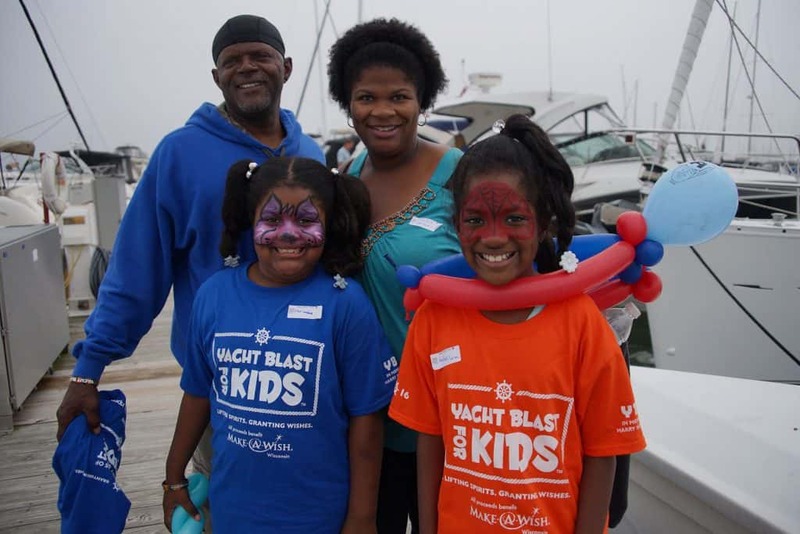 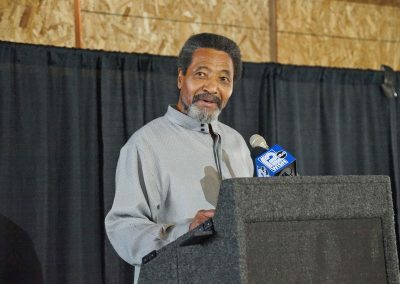 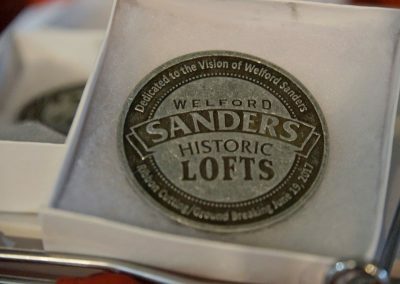 The completed project will build off other neighborhood development activities which have occurred over the past 10 years, thanks to the tireless efforts of the late Welford Sanders. 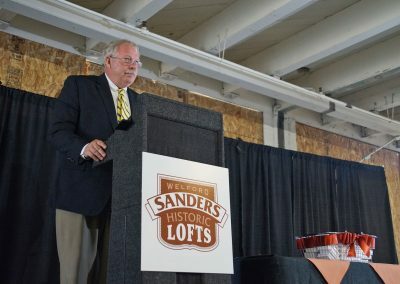 Welford Sanders became involved in the Martin Luther King Drive Economic Development Corporation (MLKEDC) in the 1990s and was named executive director of the nonprofit in 2001. 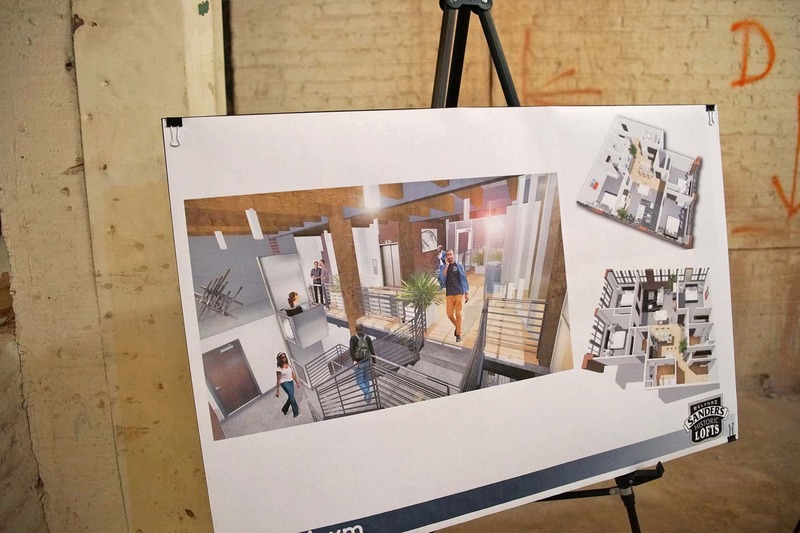 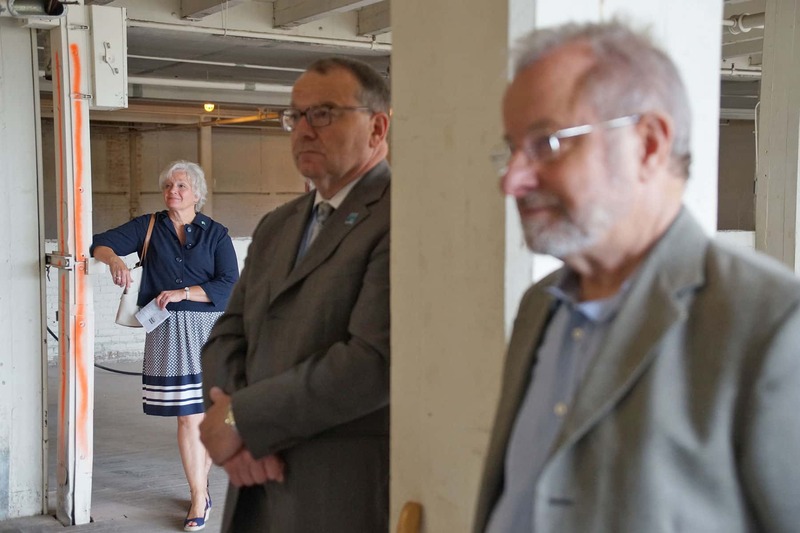 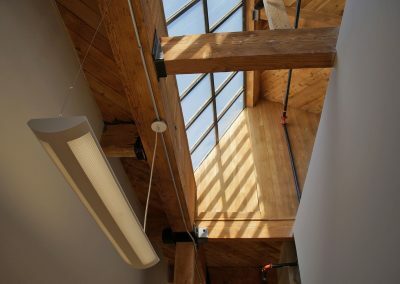 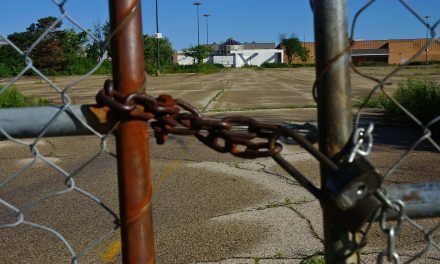 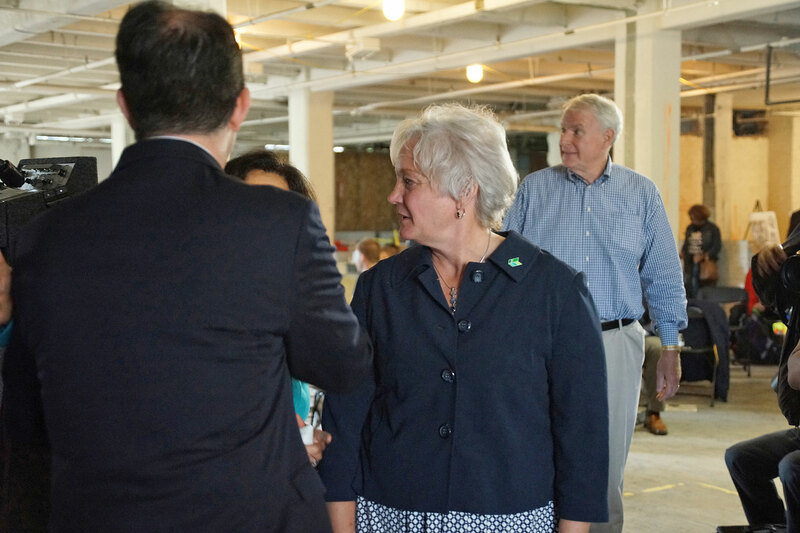 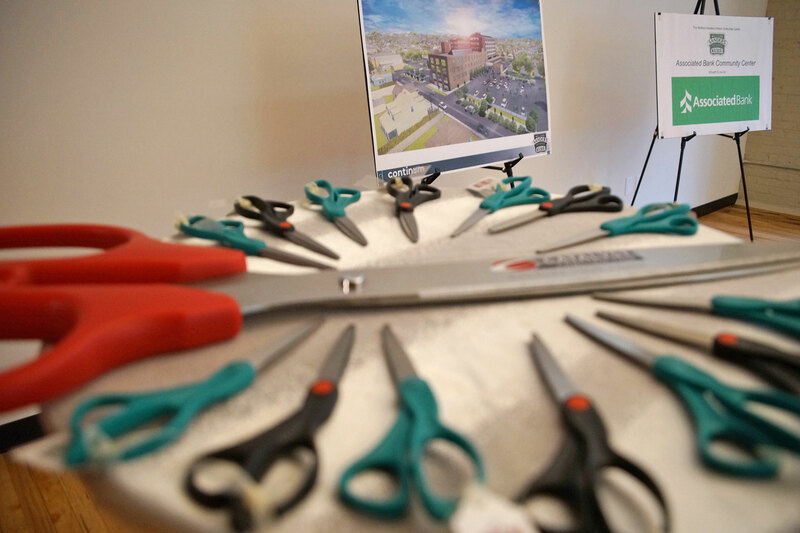 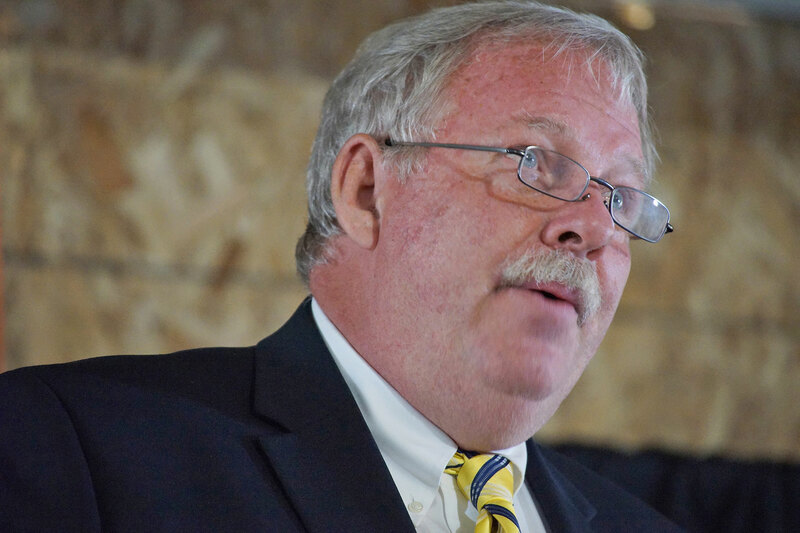 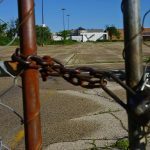 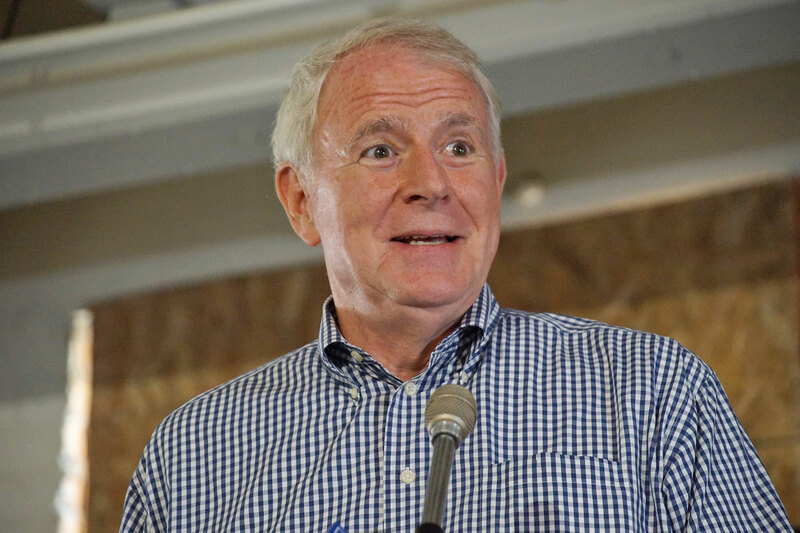 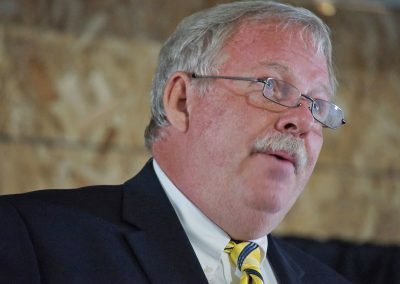 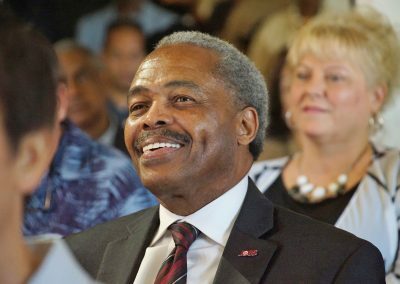 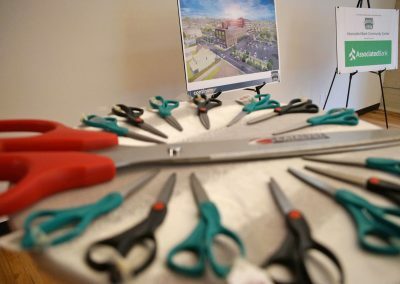 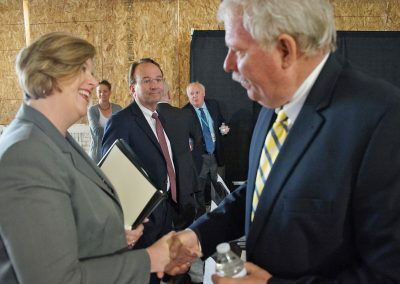 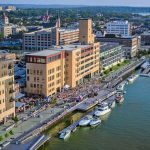 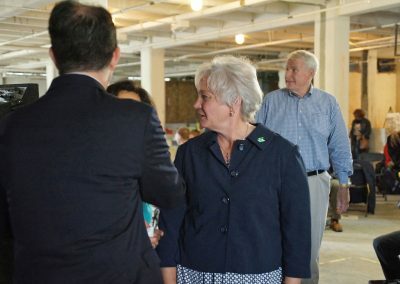 He led significant redevelopment efforts, including the four previous King Drive Commons phases totaling approximately $25 million in development costs. 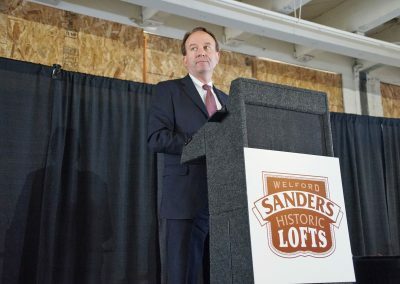 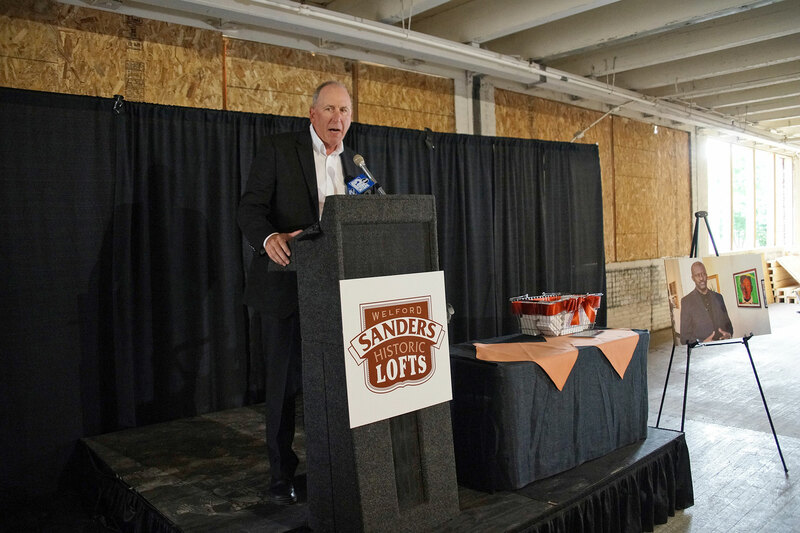 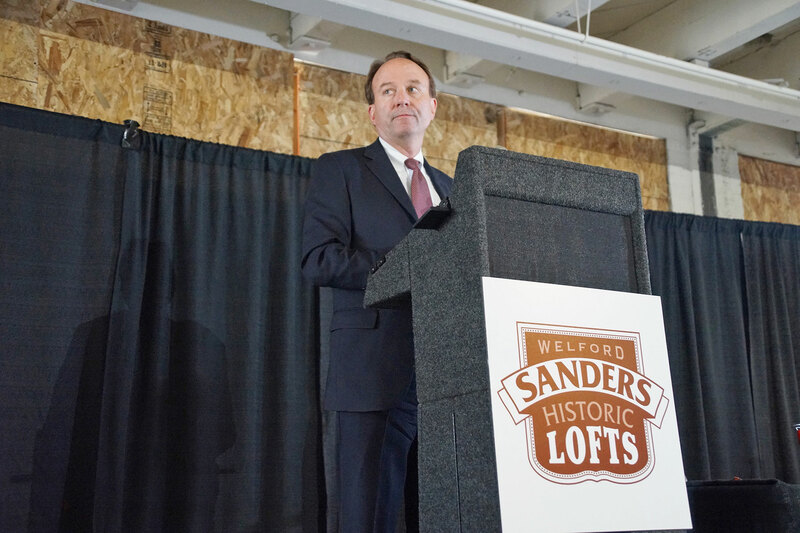 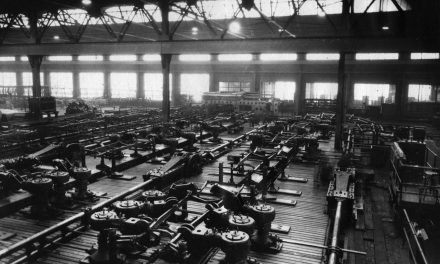 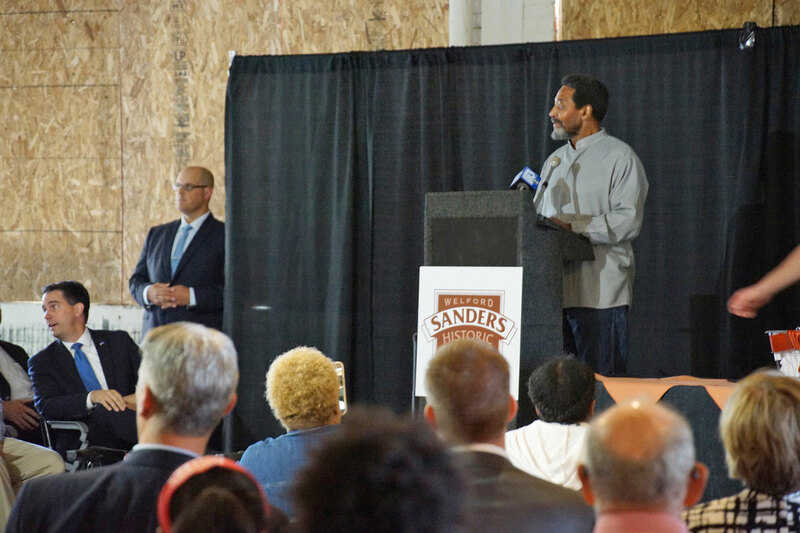 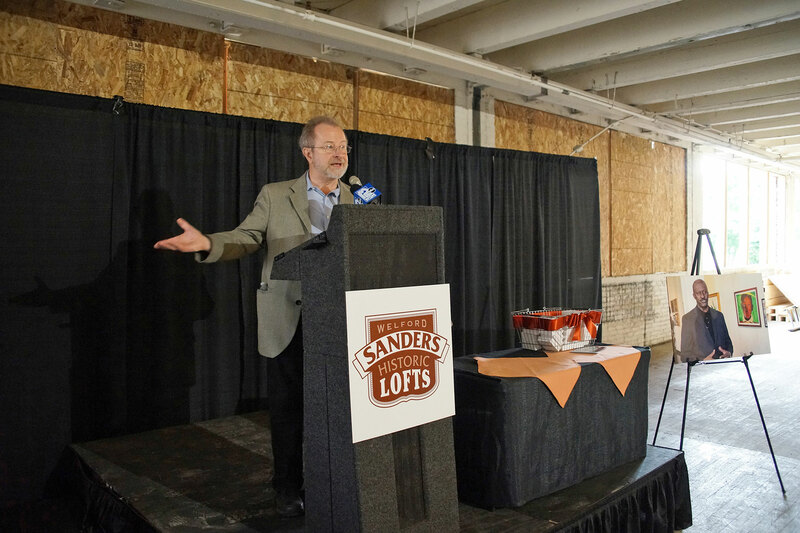 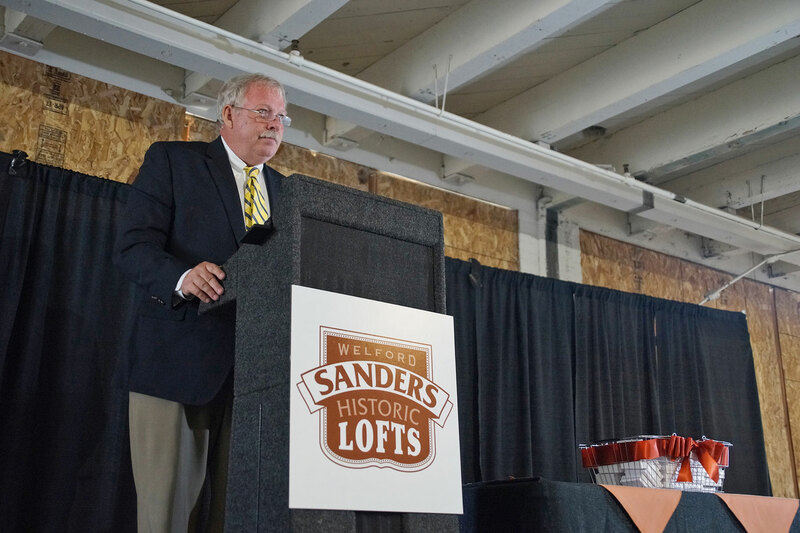 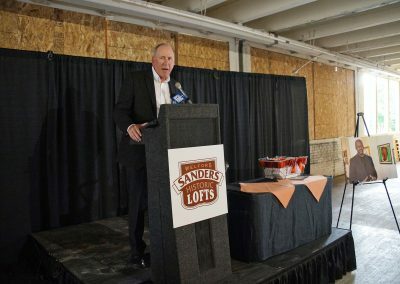 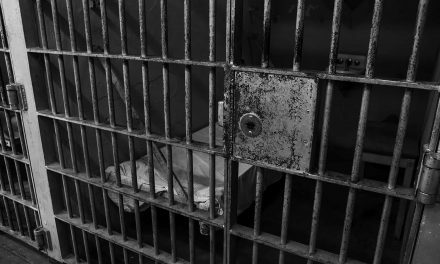 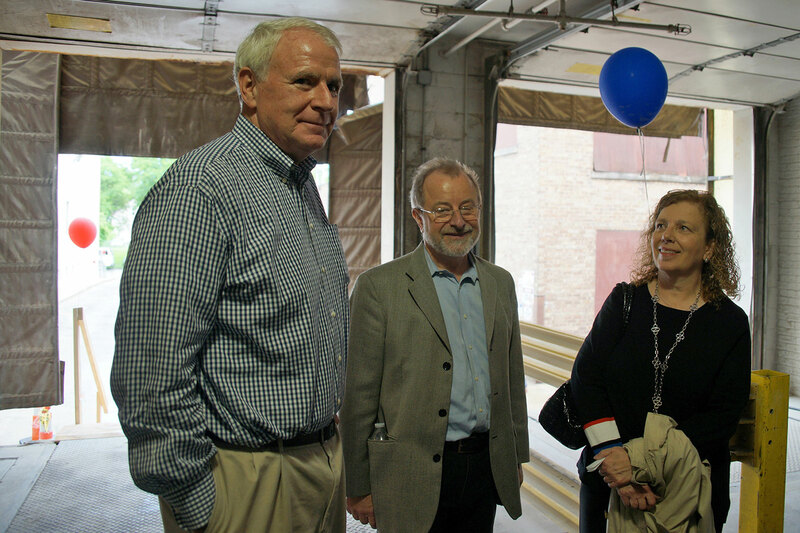 Sanders worked tenaciously to help secure the building now named in his honor. 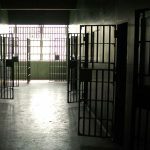 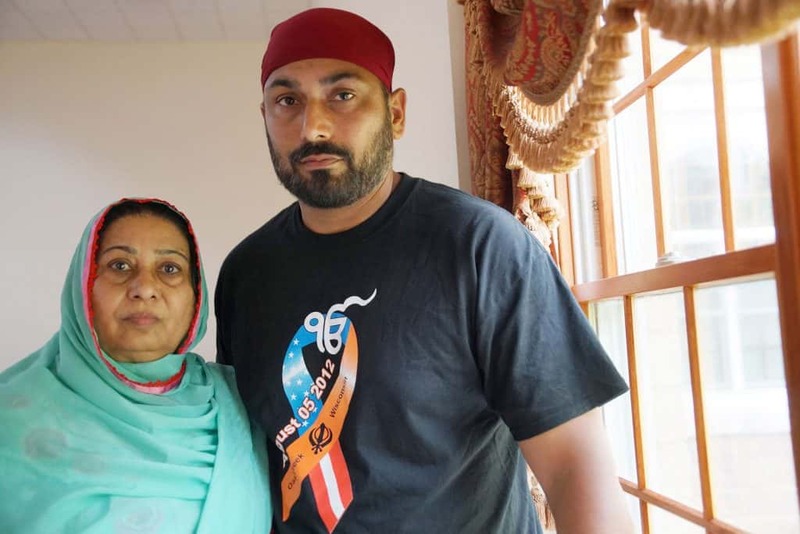 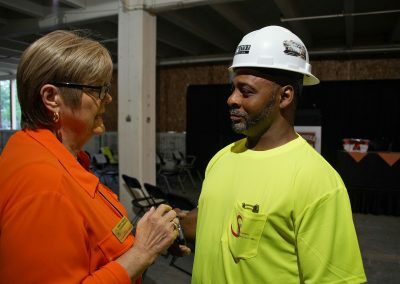 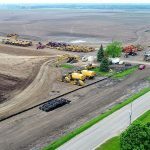 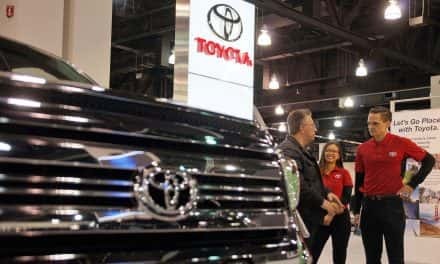 The project is expected to average 70 full-time construction jobs monthly for over a one-year construction period at family-supporting wages. 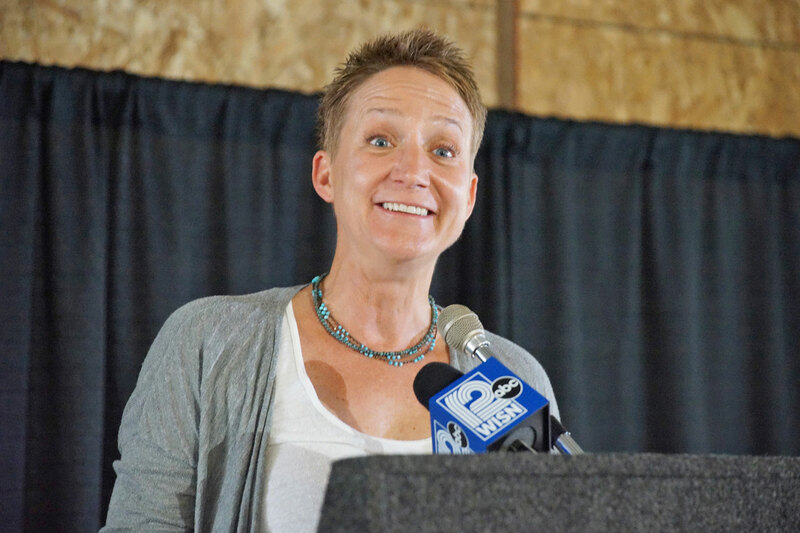 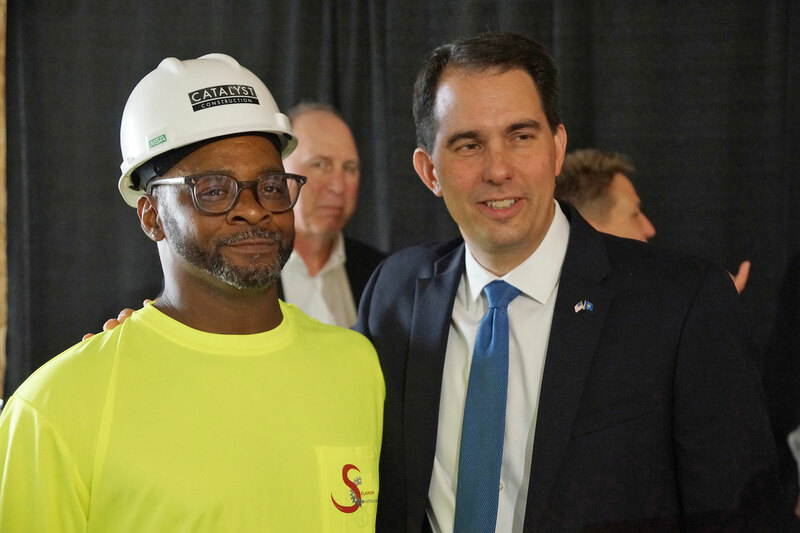 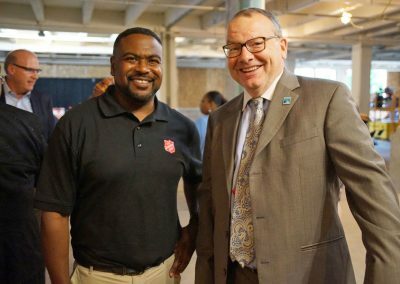 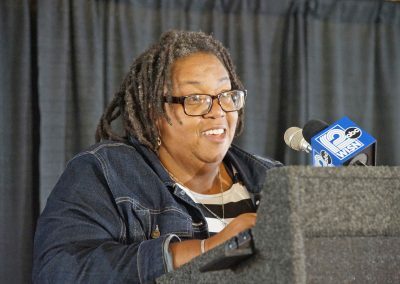 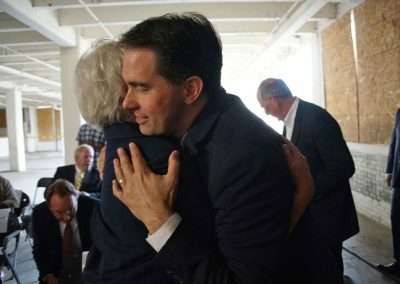 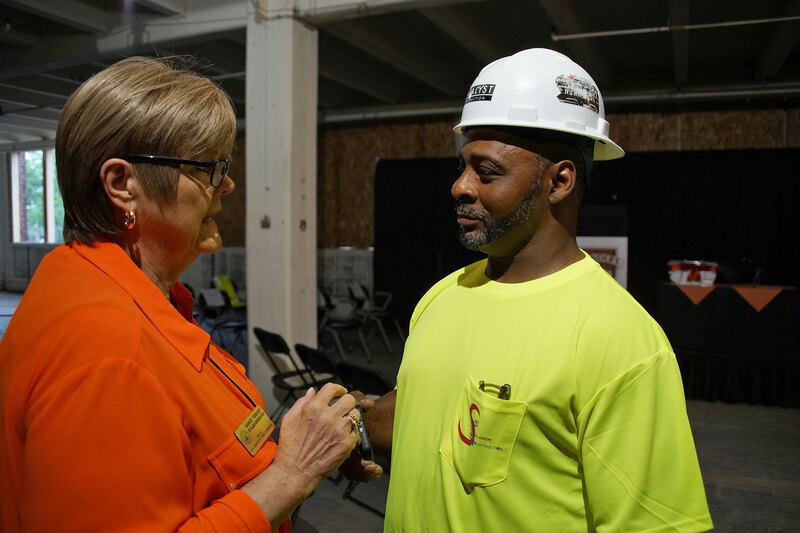 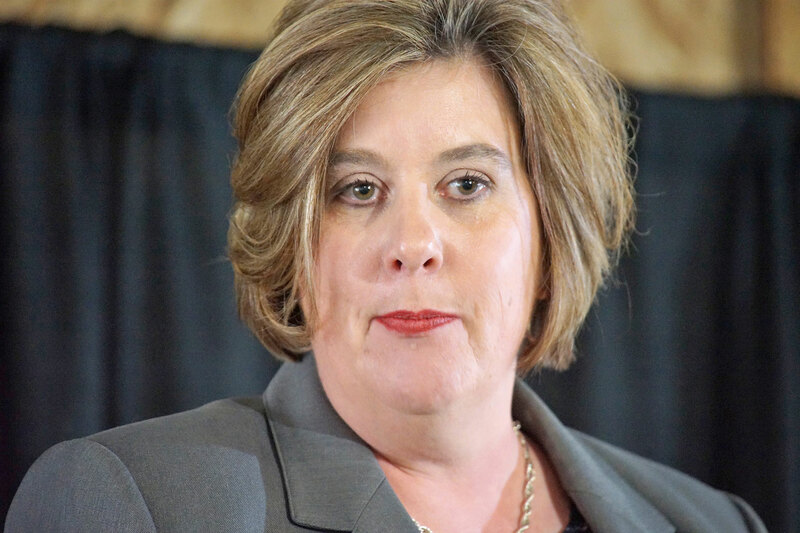 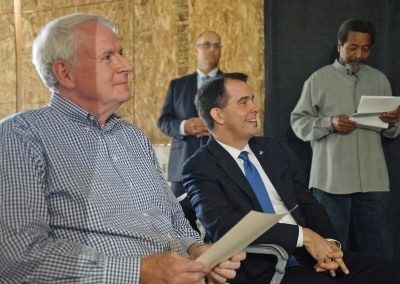 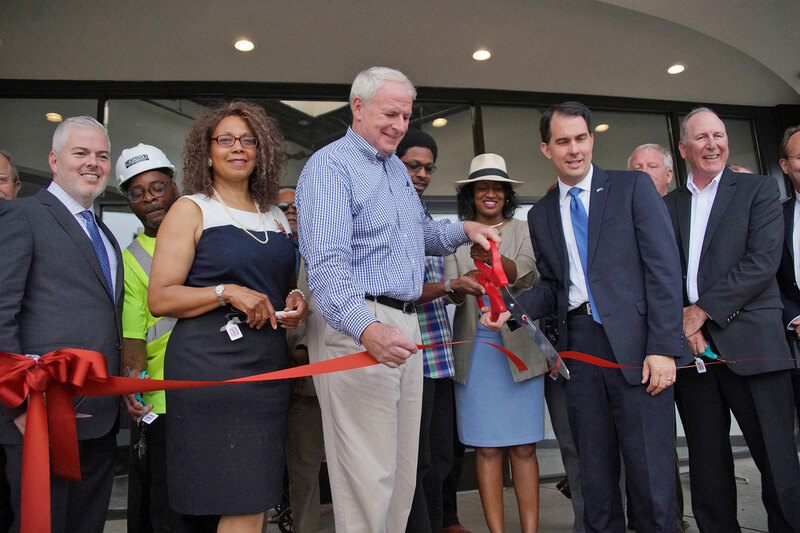 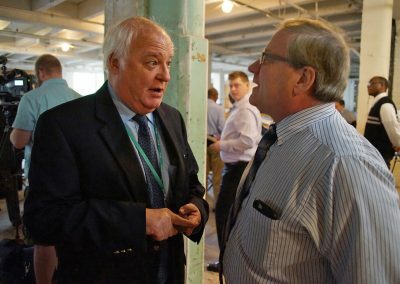 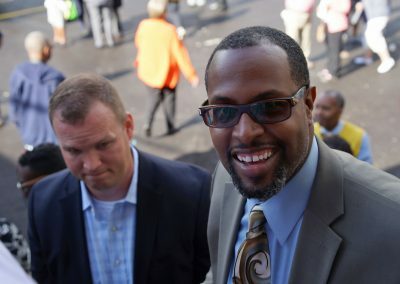 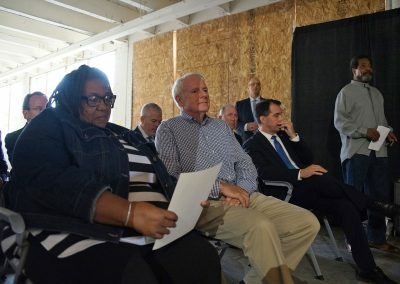 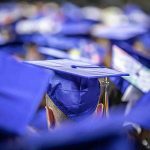 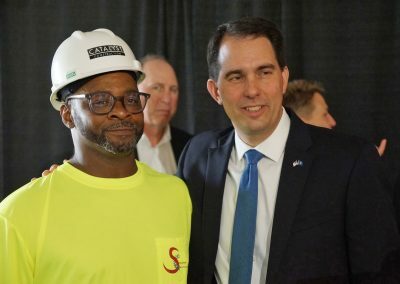 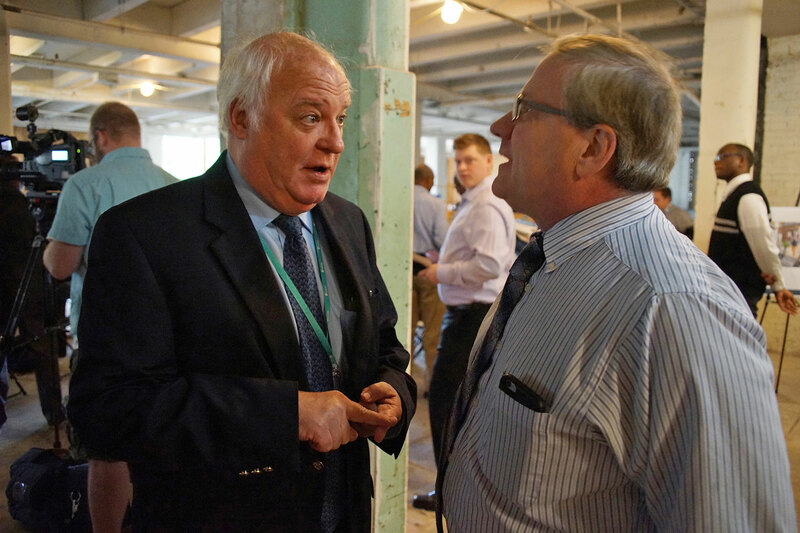 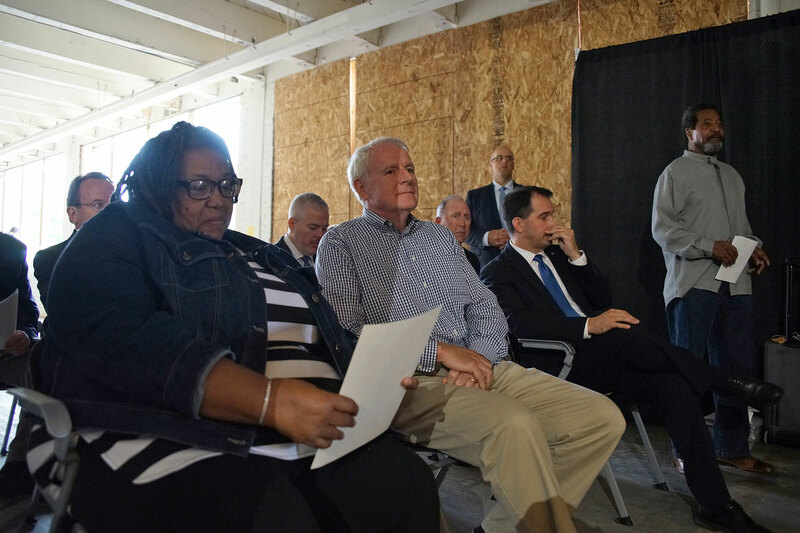 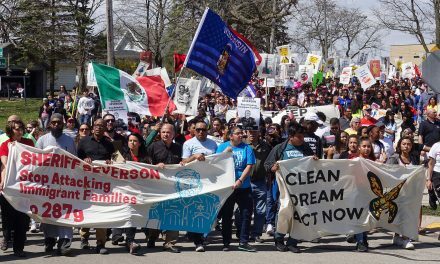 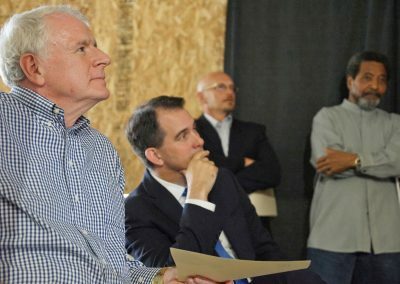 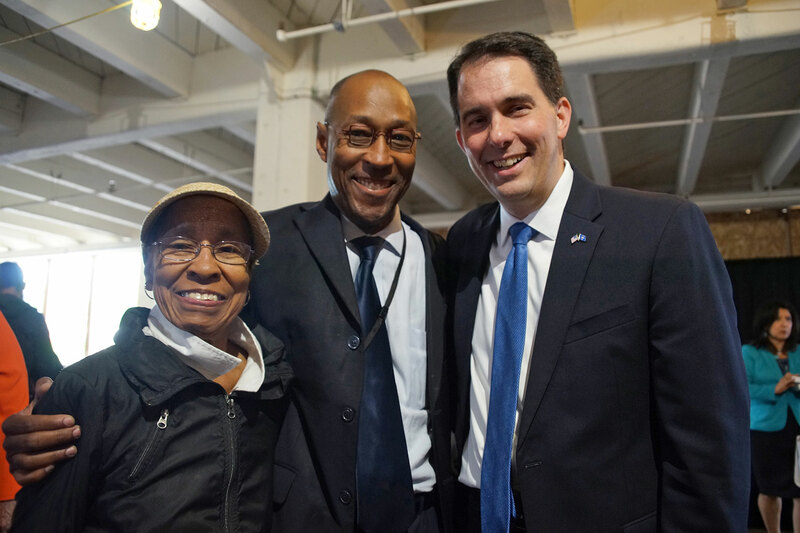 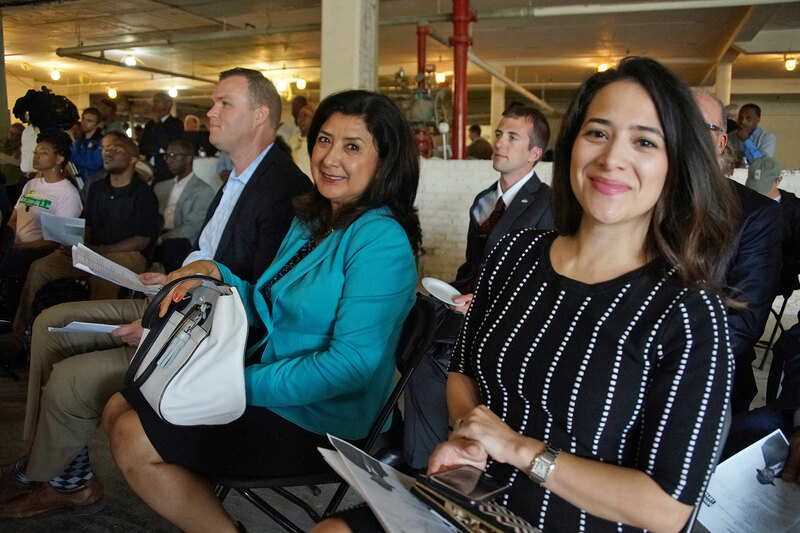 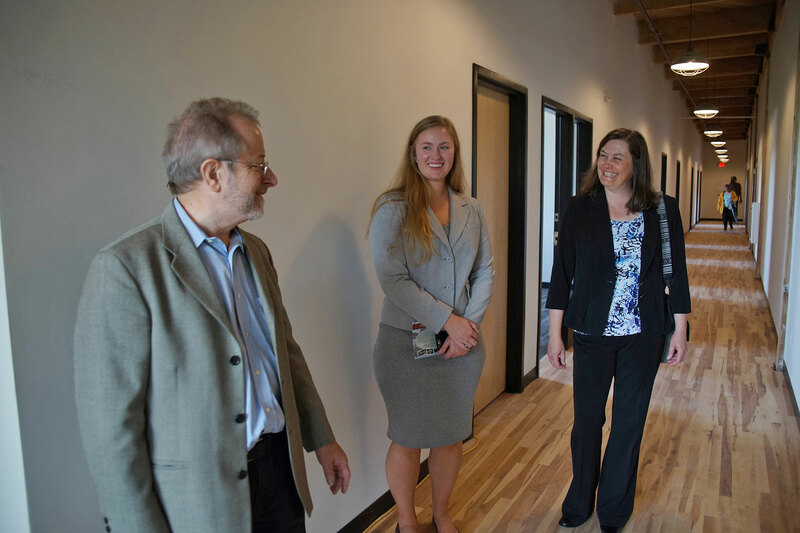 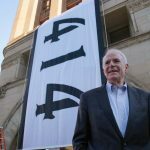 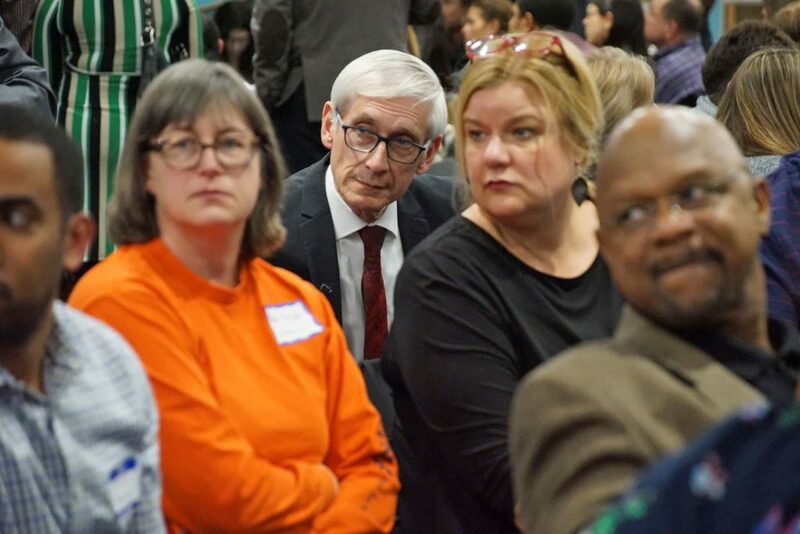 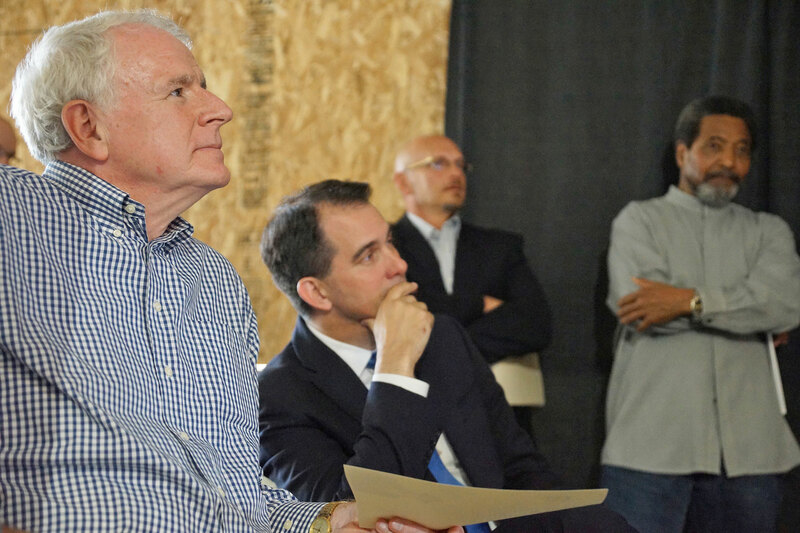 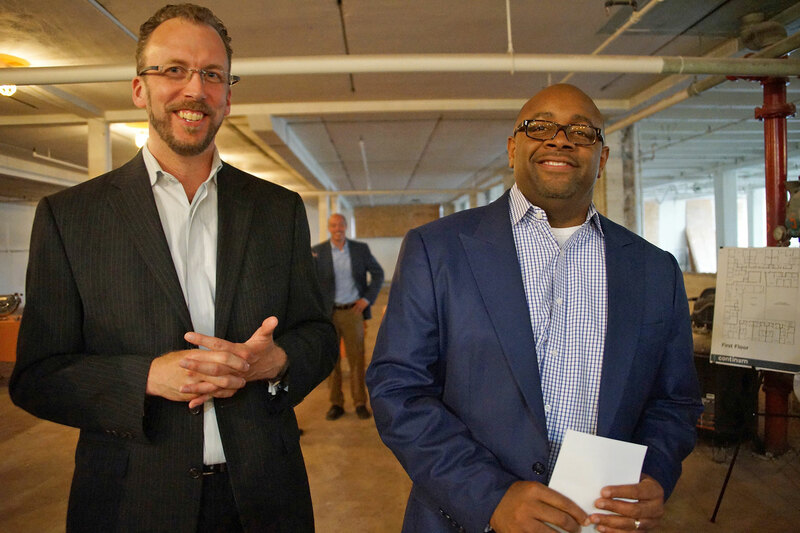 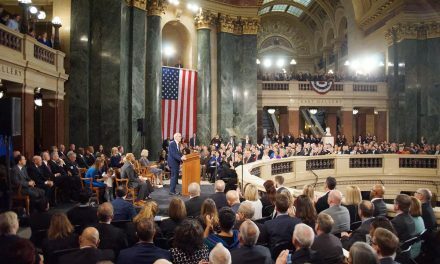 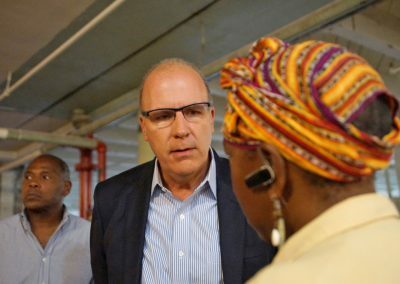 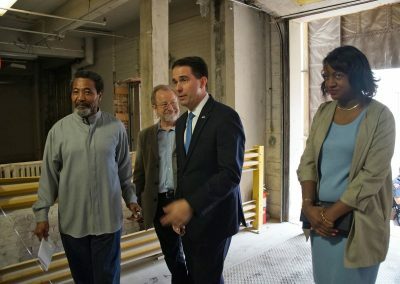 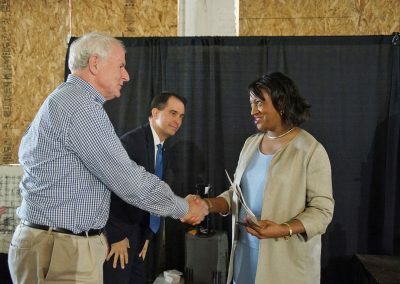 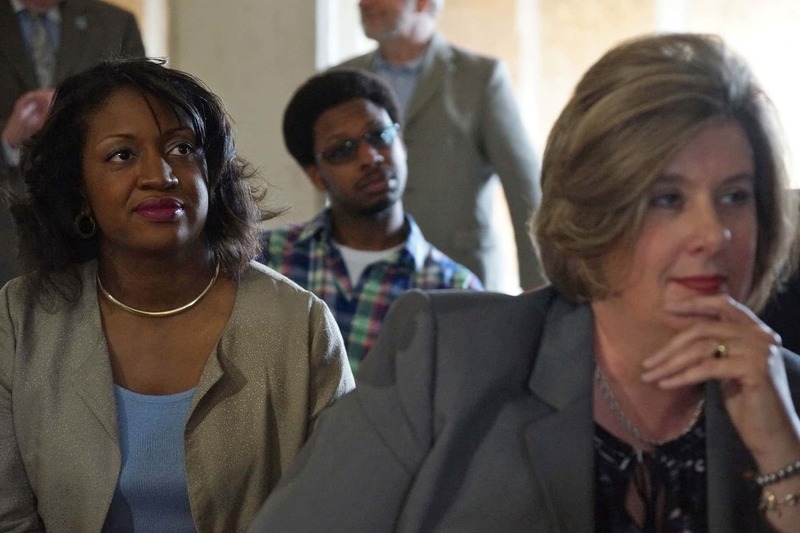 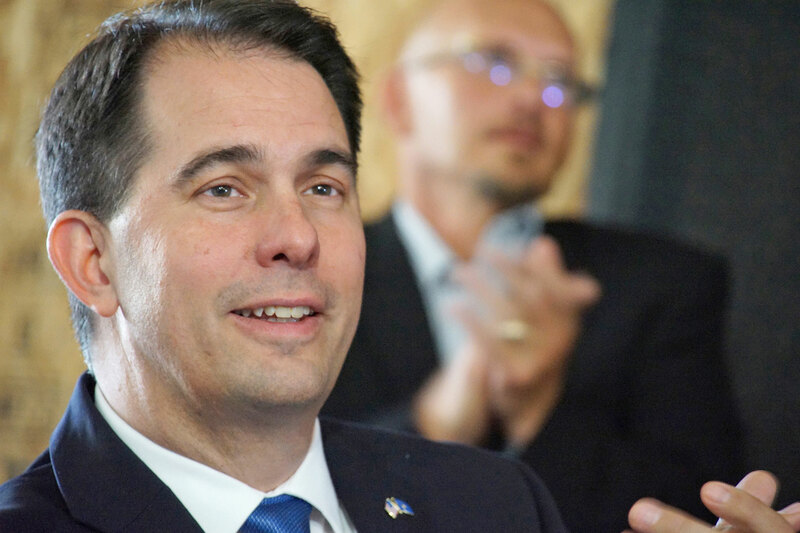 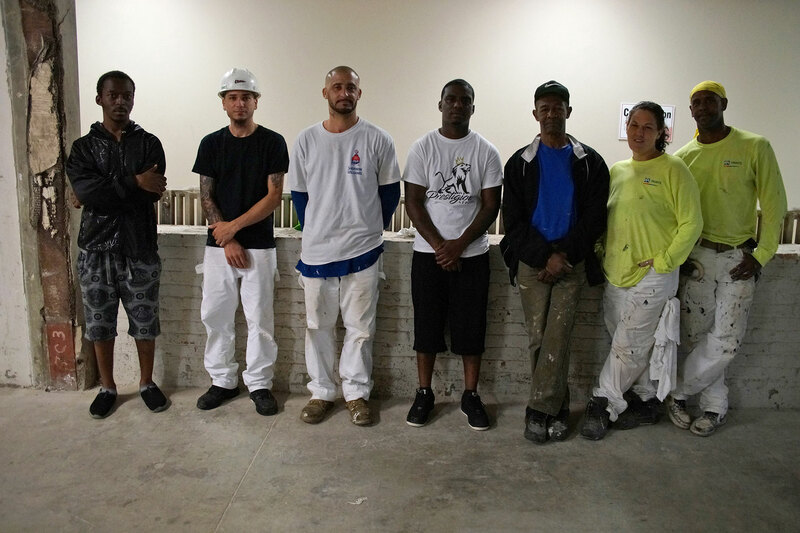 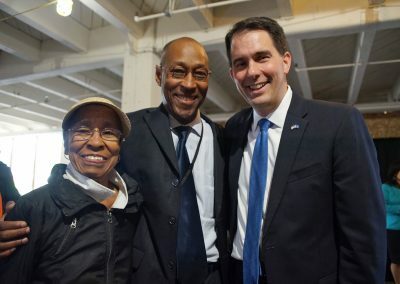 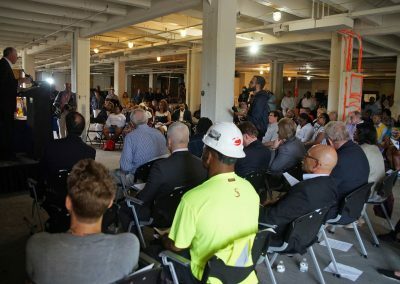 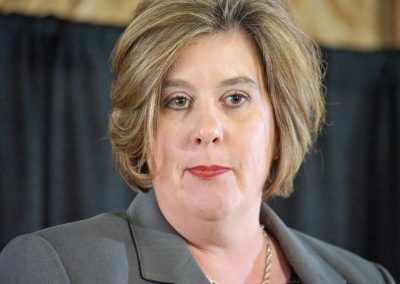 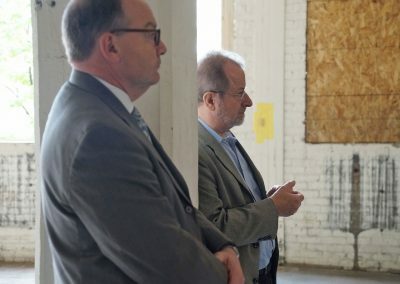 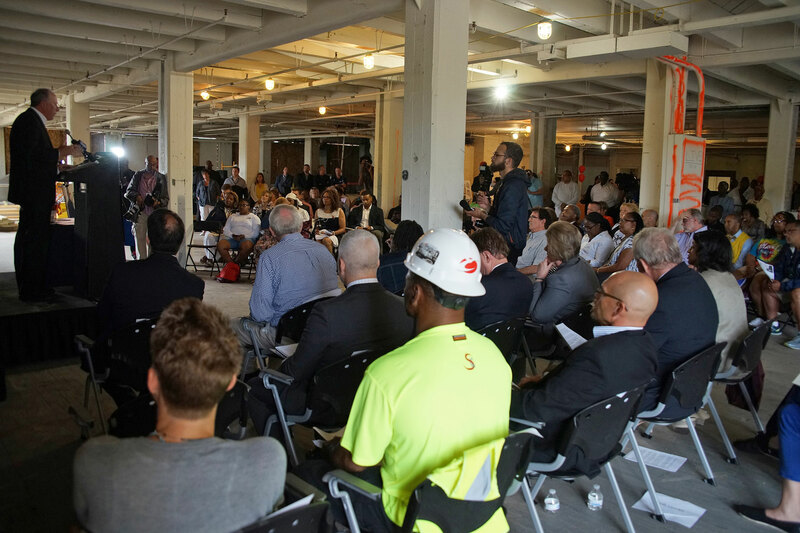 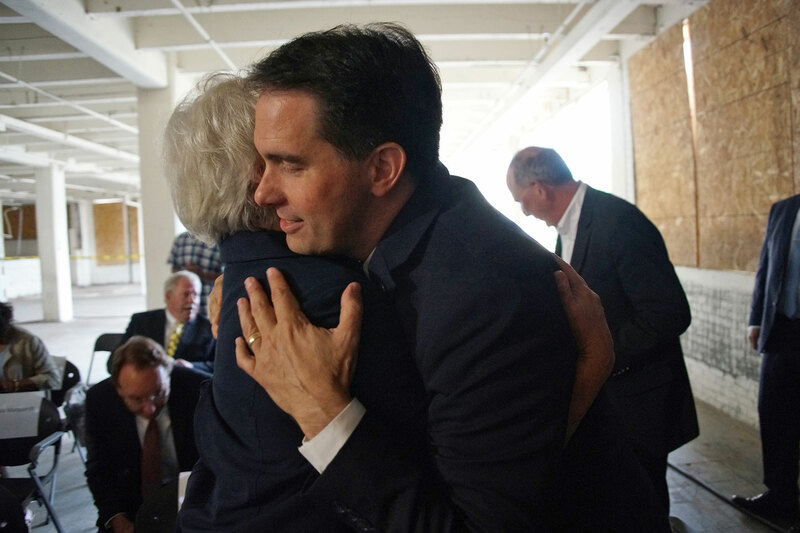 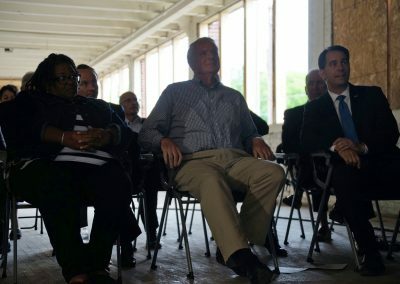 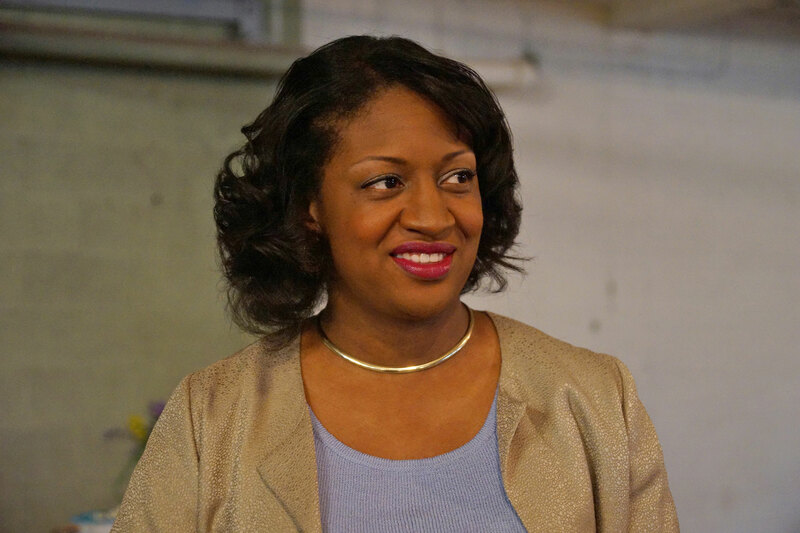 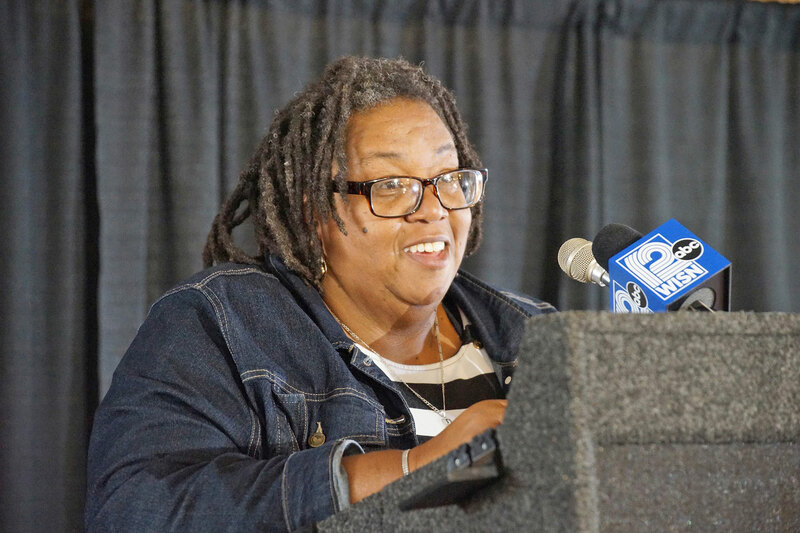 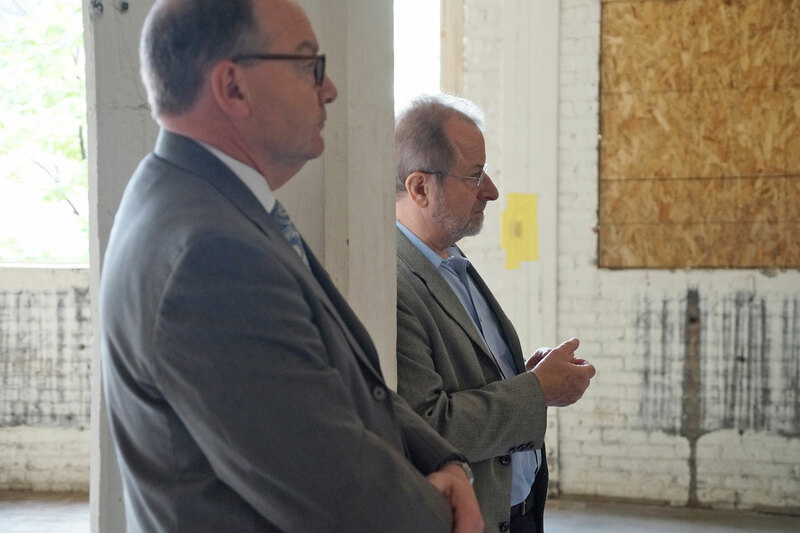 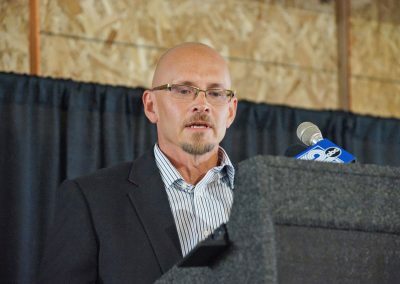 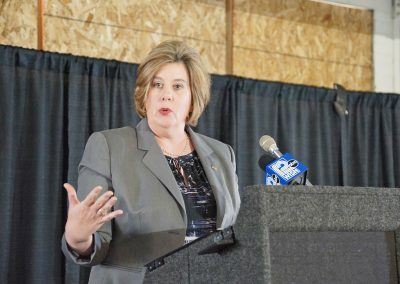 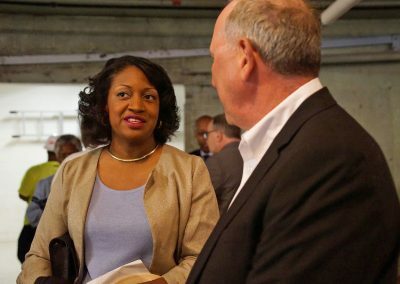 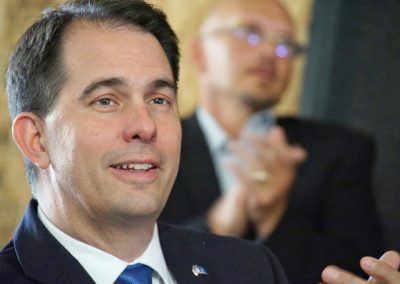 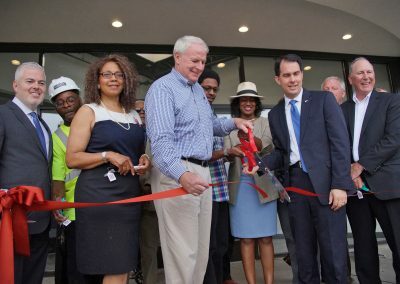 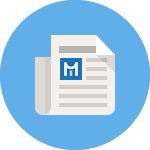 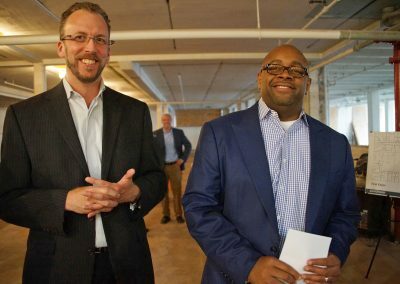 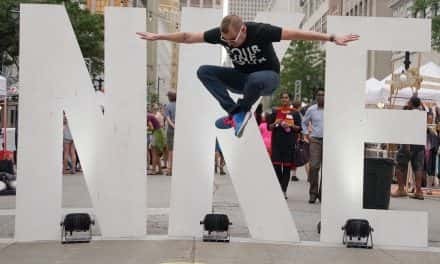 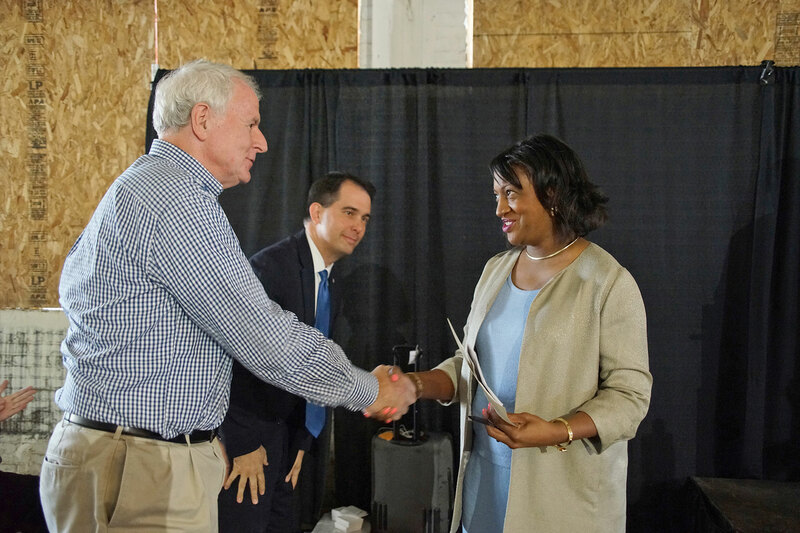 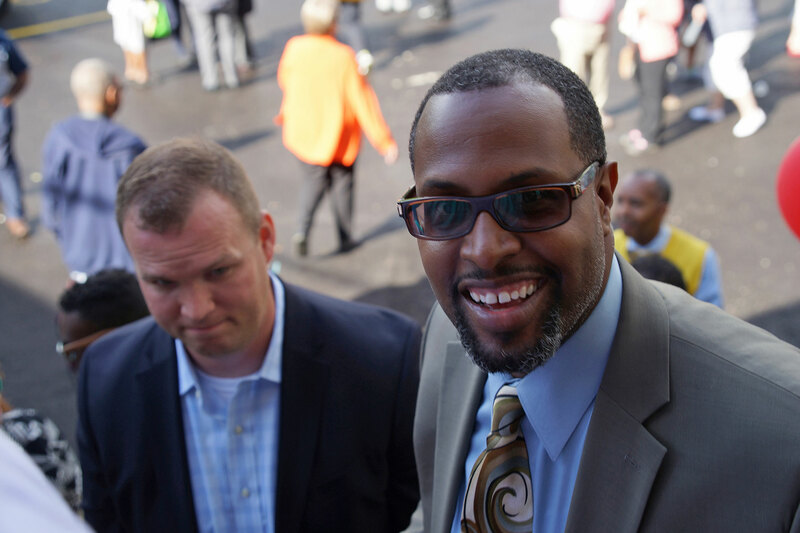 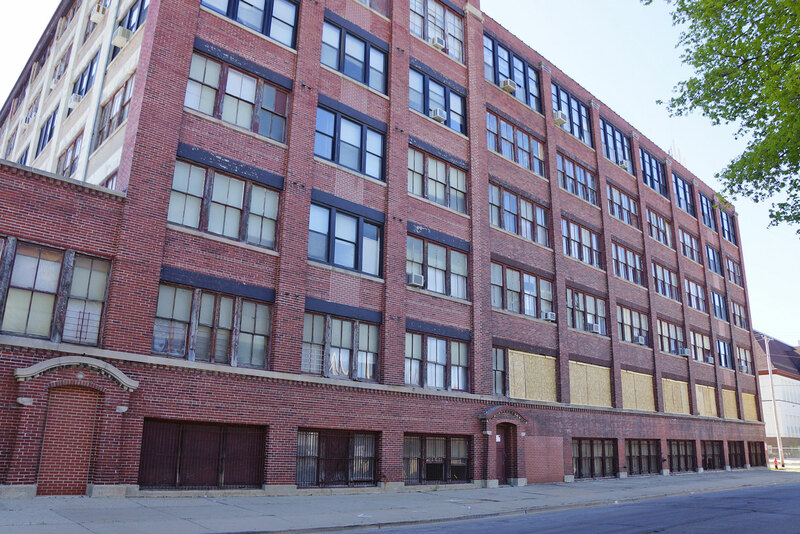 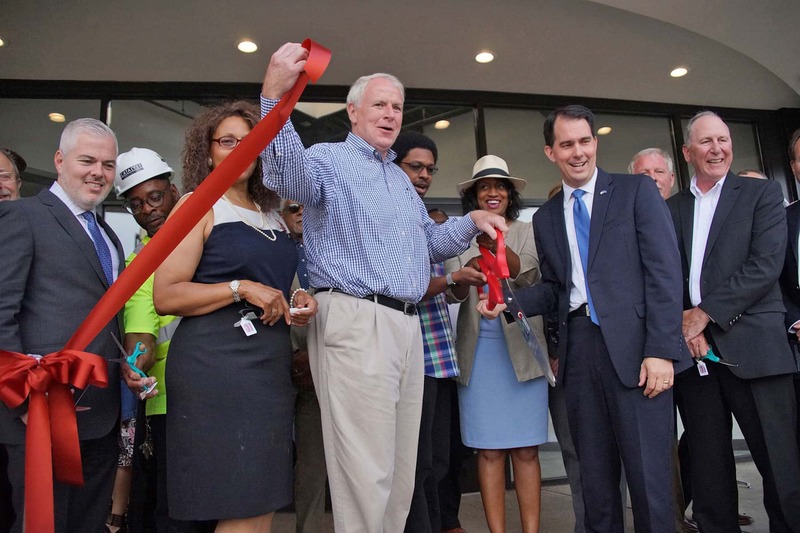 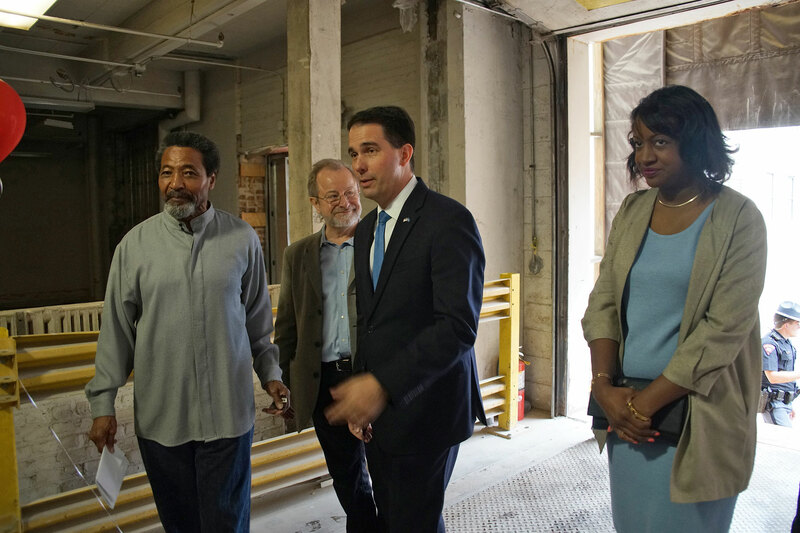 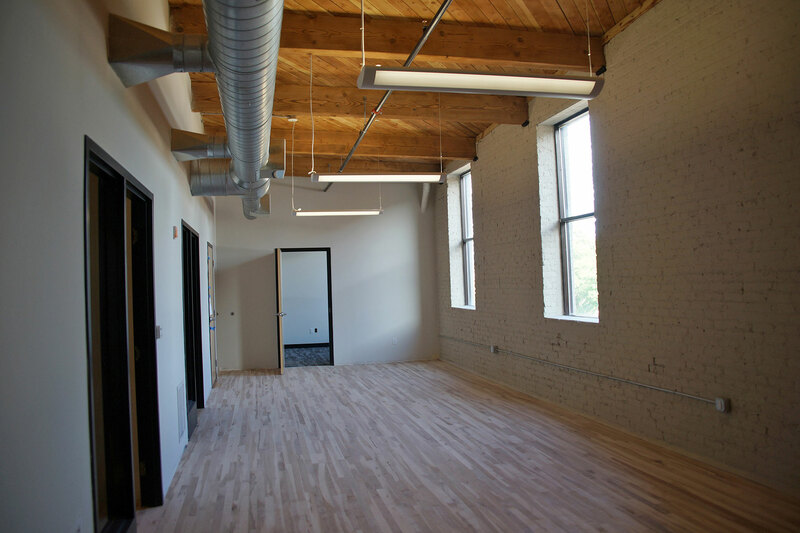 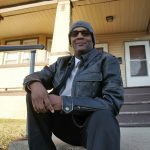 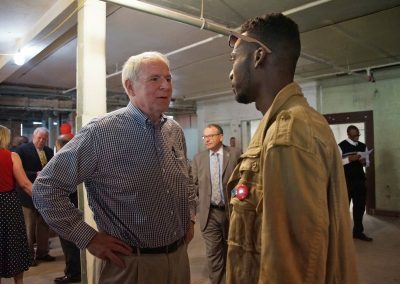 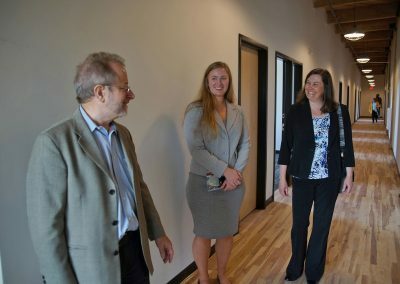 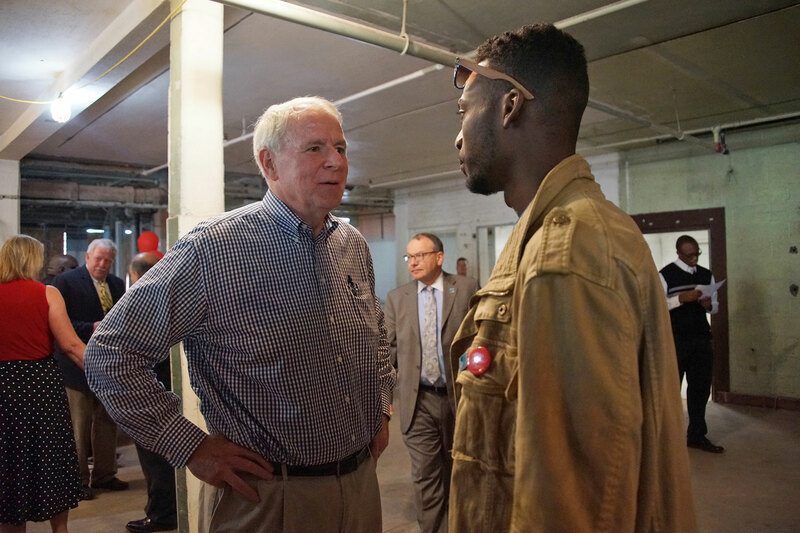 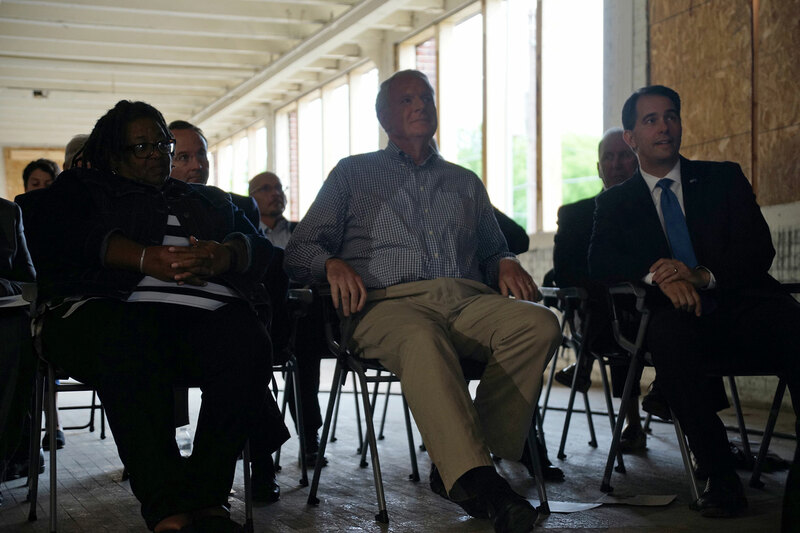 The development team will exceed the City of Milwaukee and WHEDA’s required SBE participation level, including the goal of using 40% locally underemployed or unemployed workers in the construction labor force. 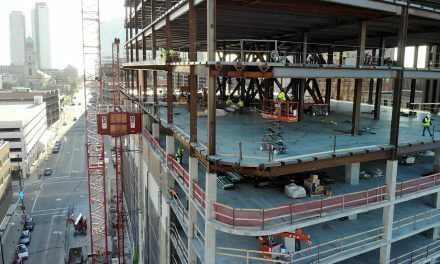 The current phase of renovation and construction started in February 2017 and will be complete in March 2018. 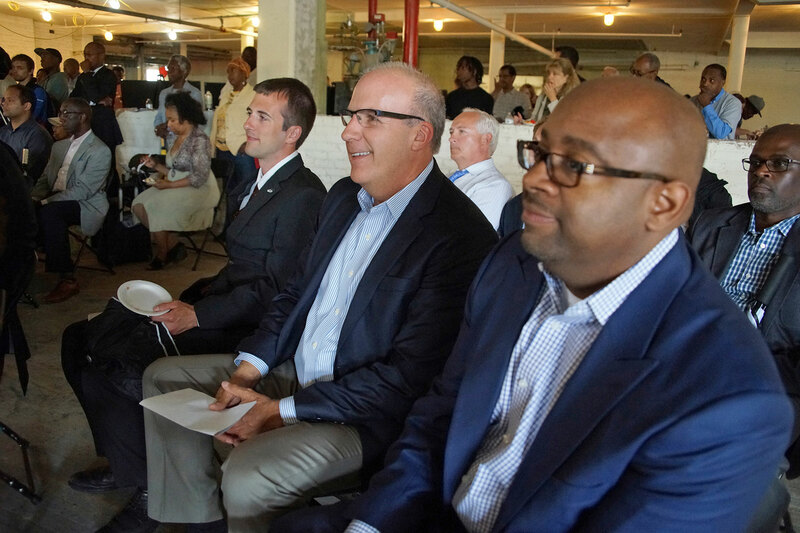 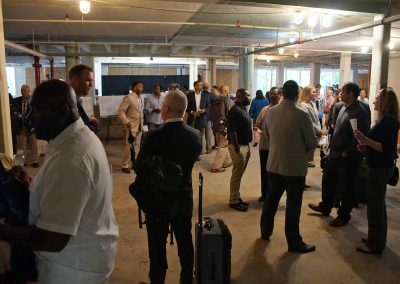 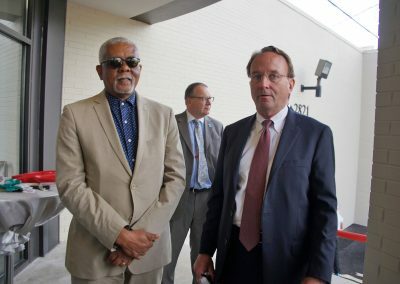 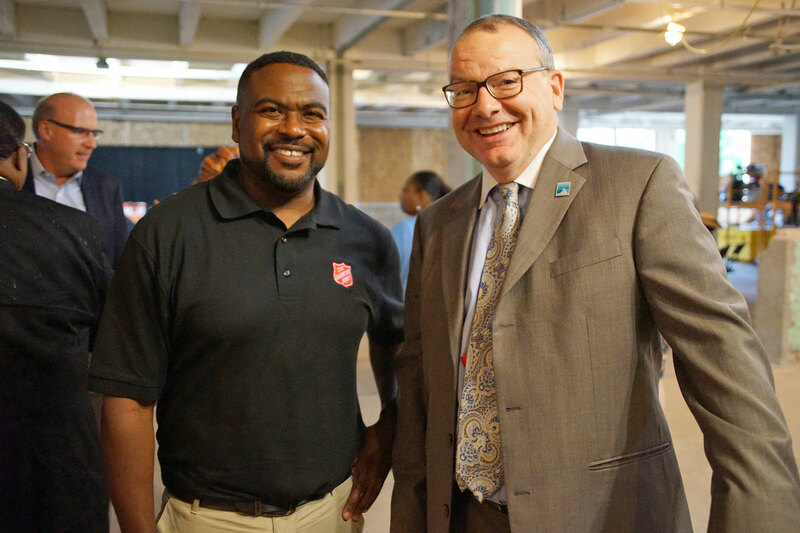 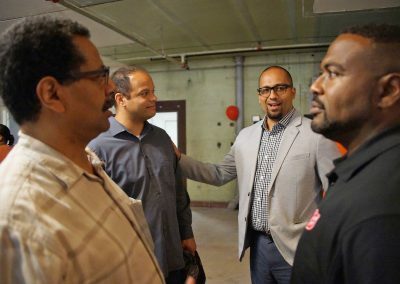 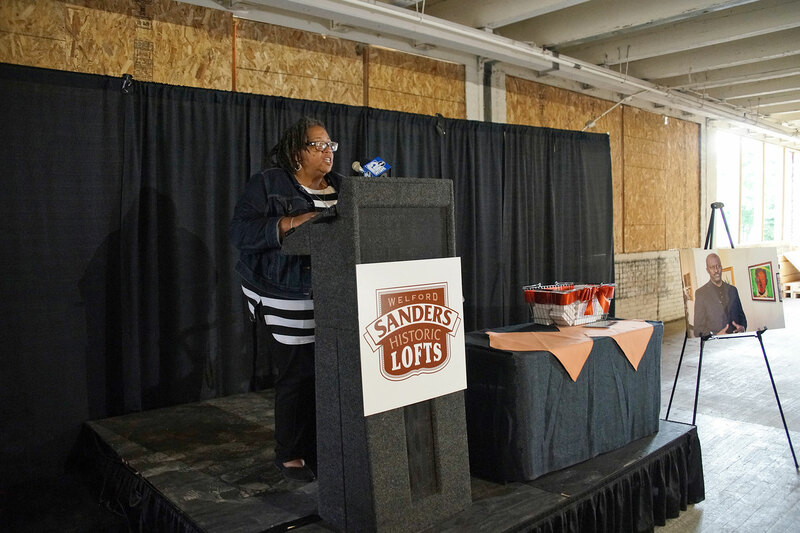 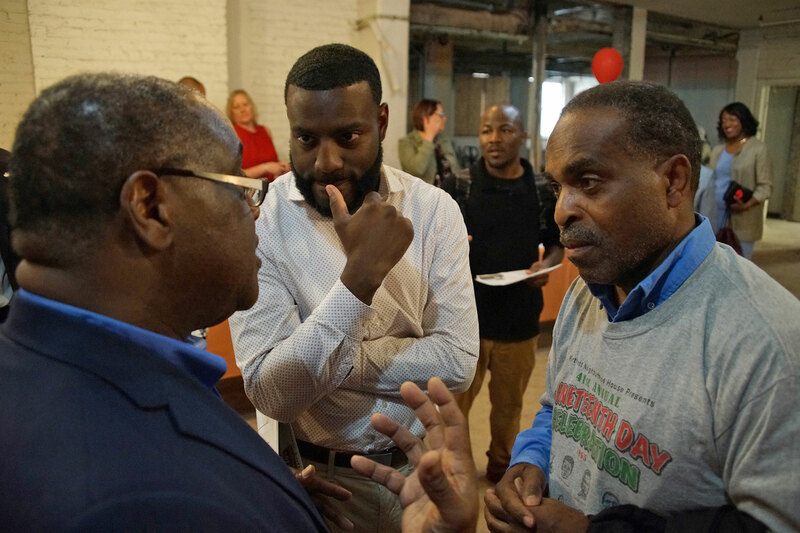 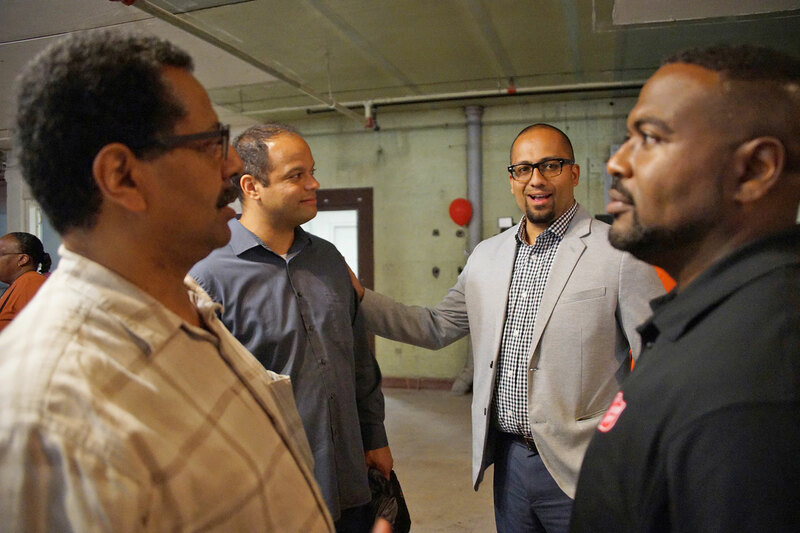 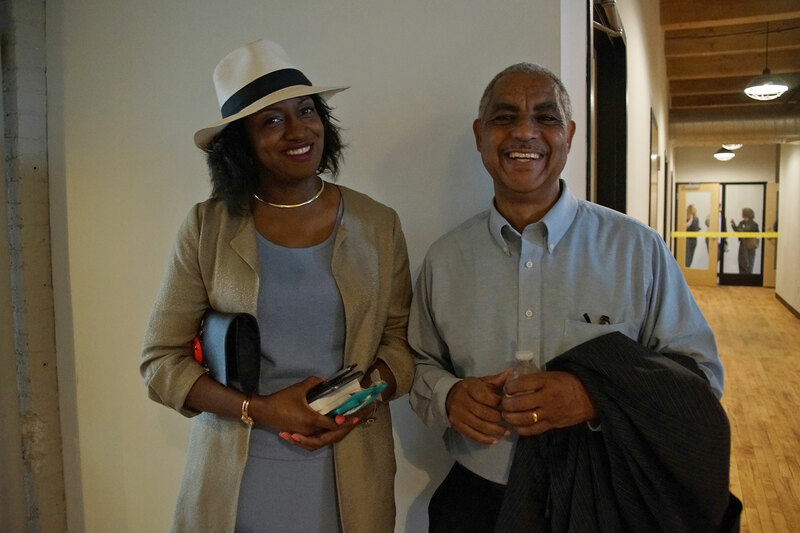 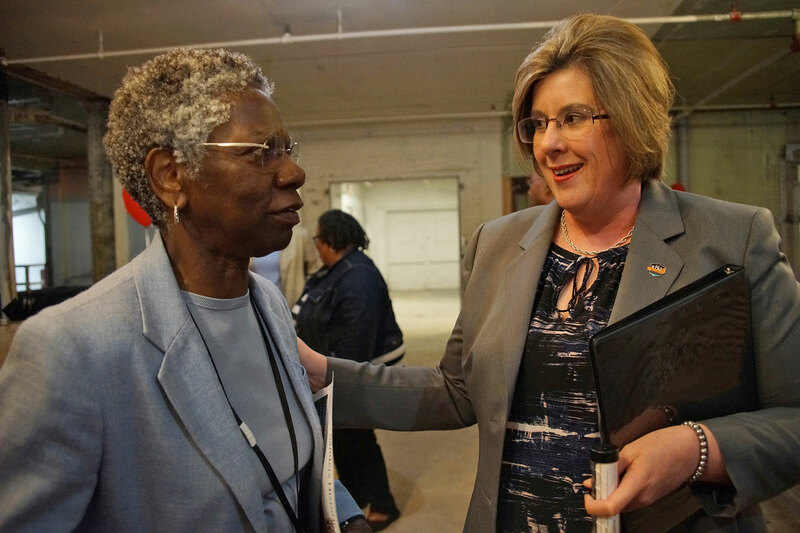 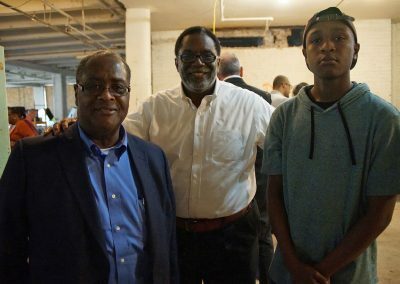 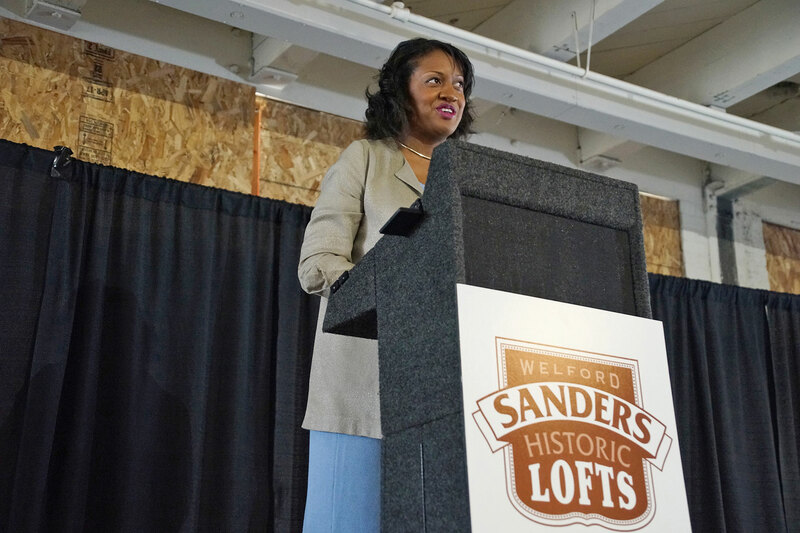 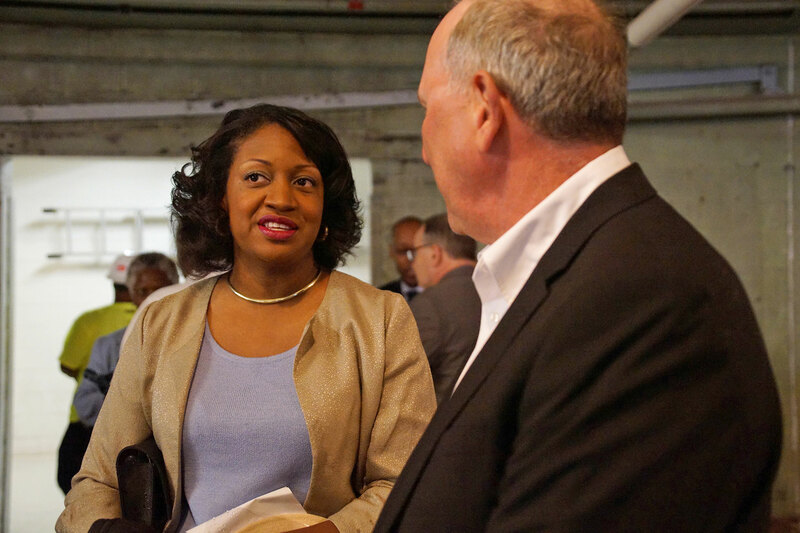 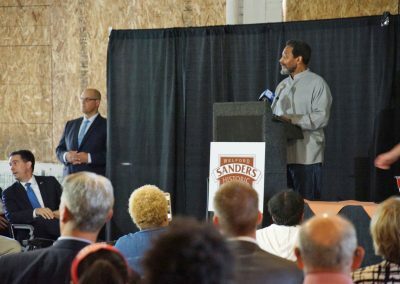 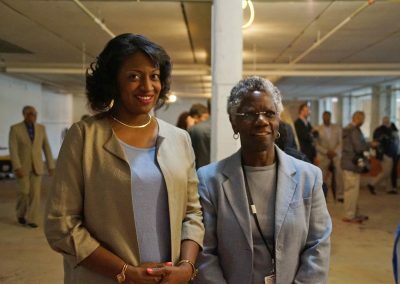 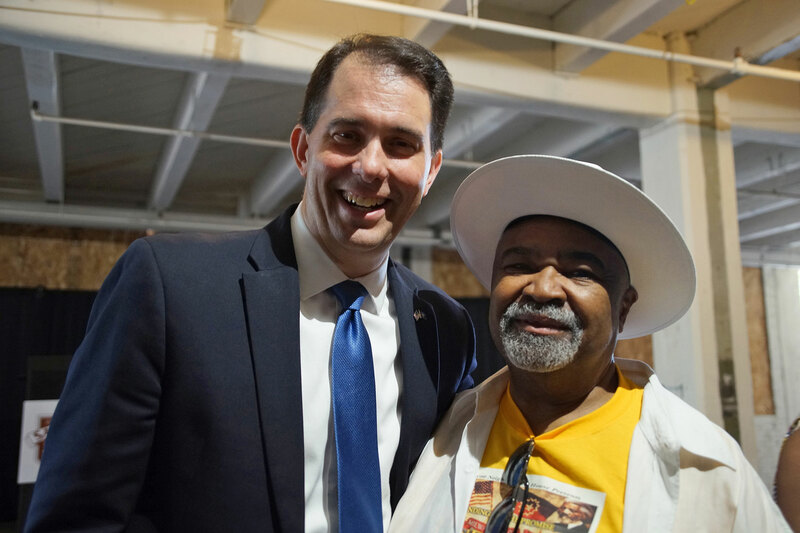 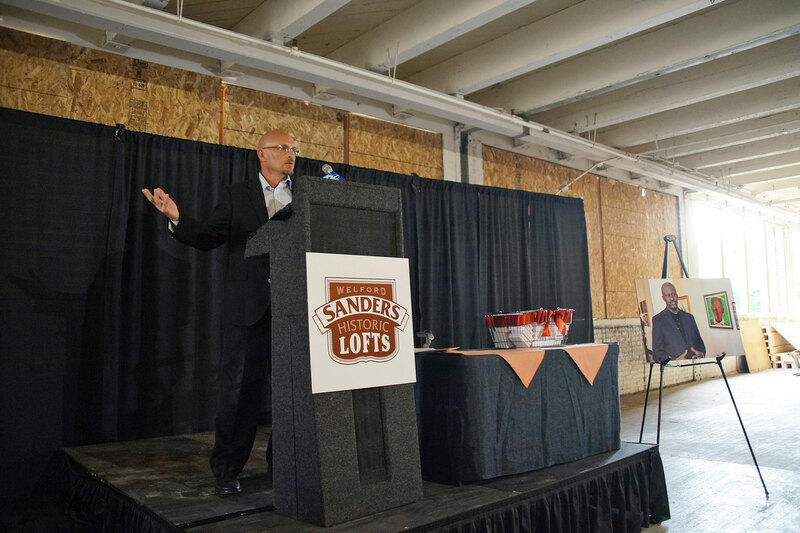 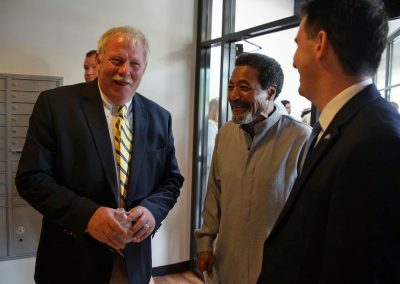 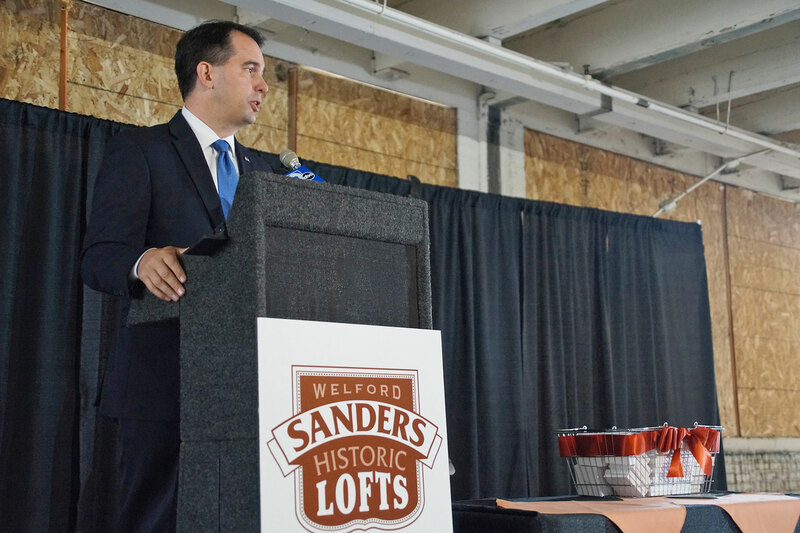 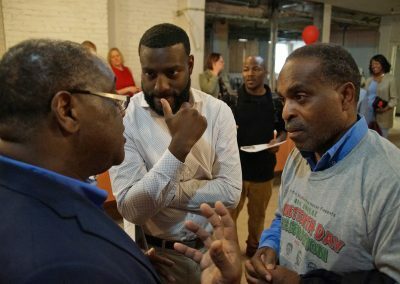 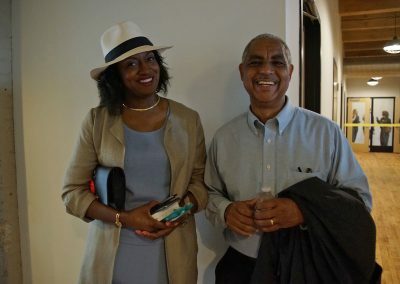 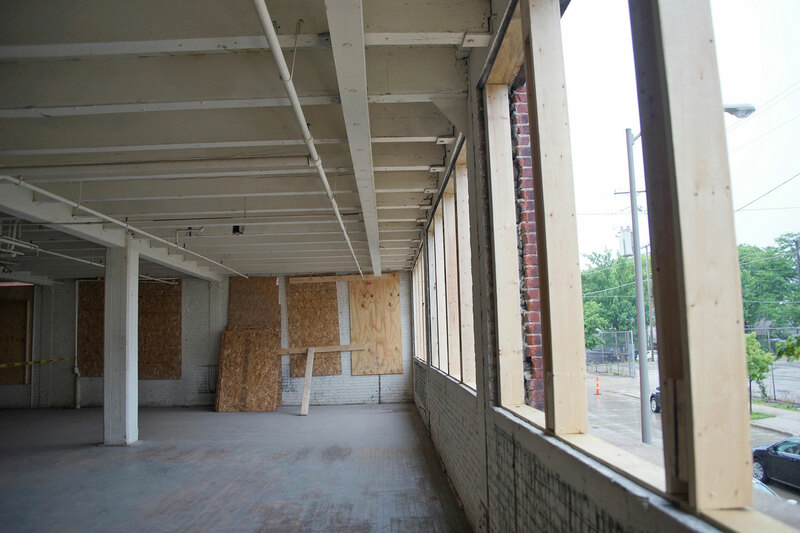 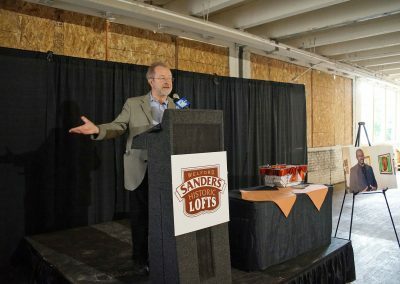 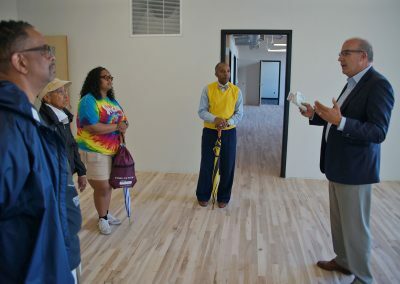 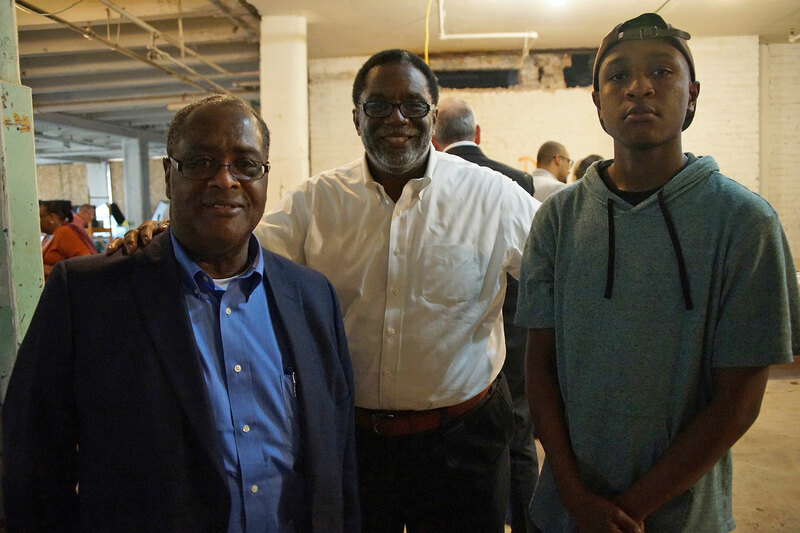 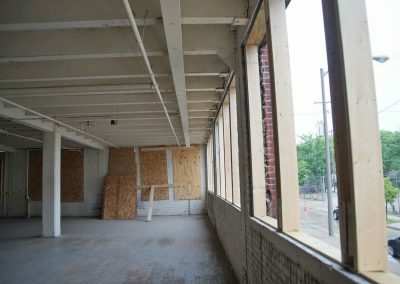 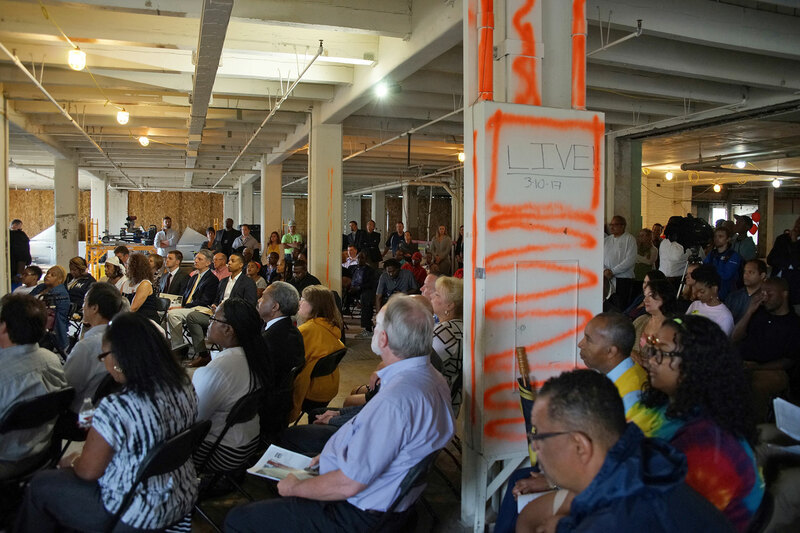 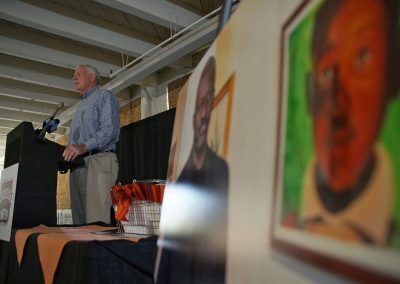 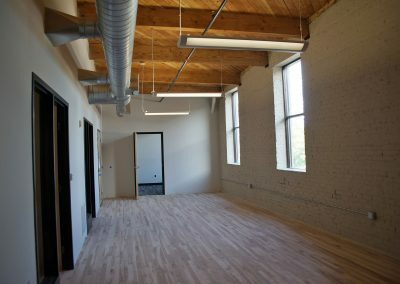 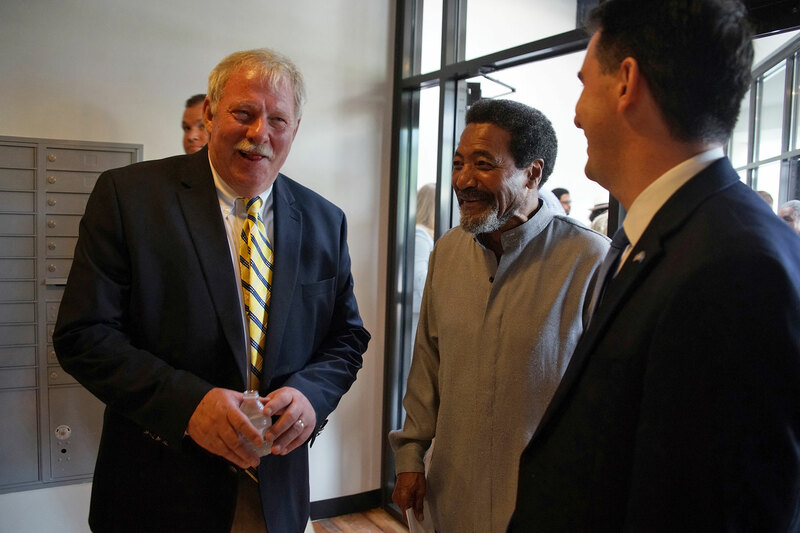 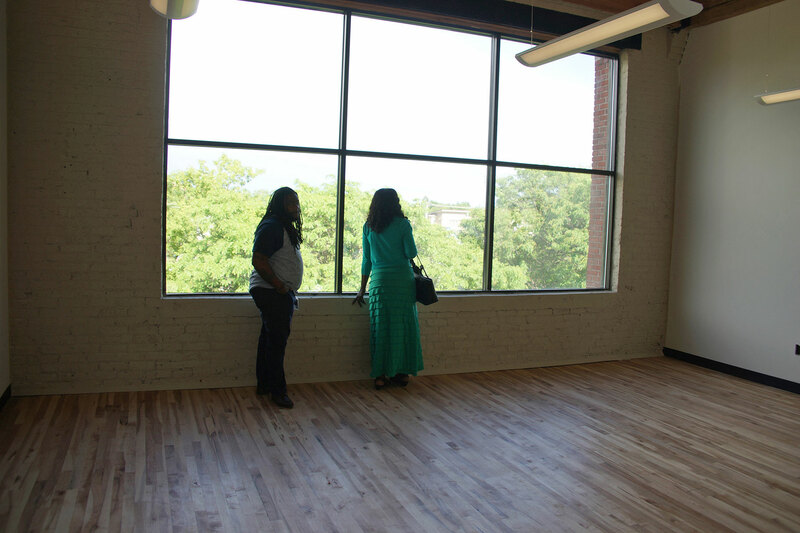 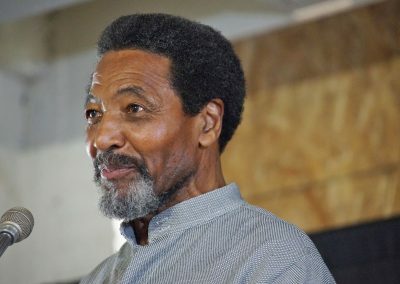 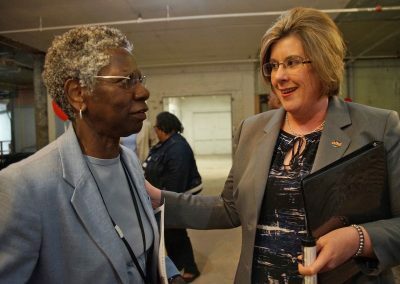 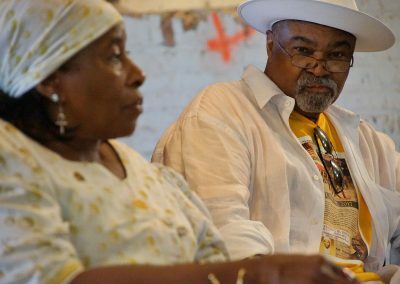 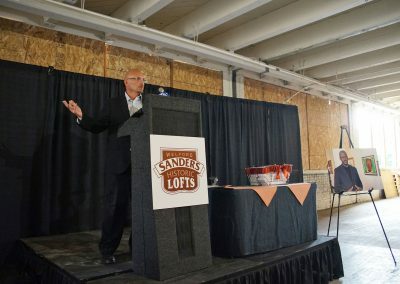 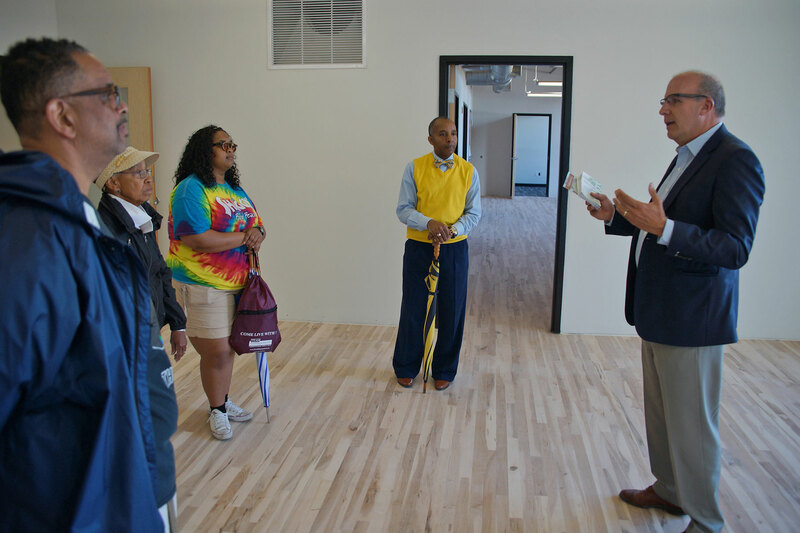 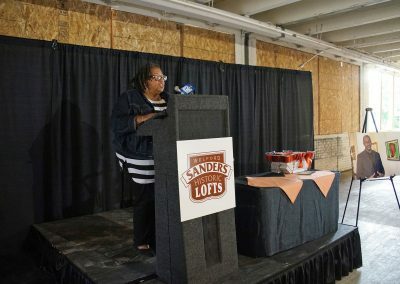 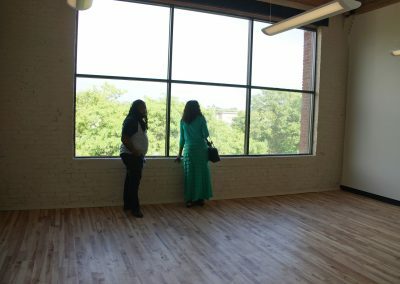 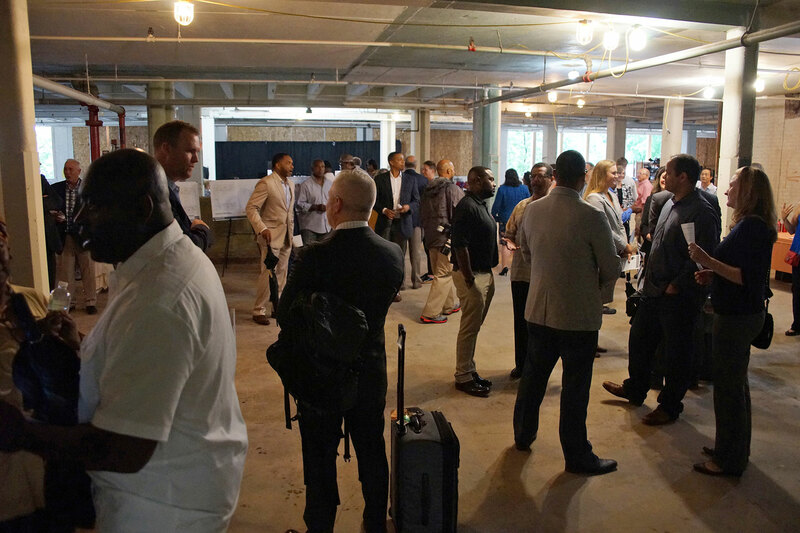 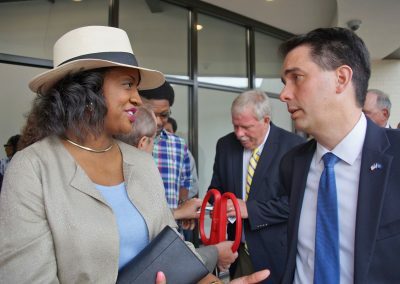 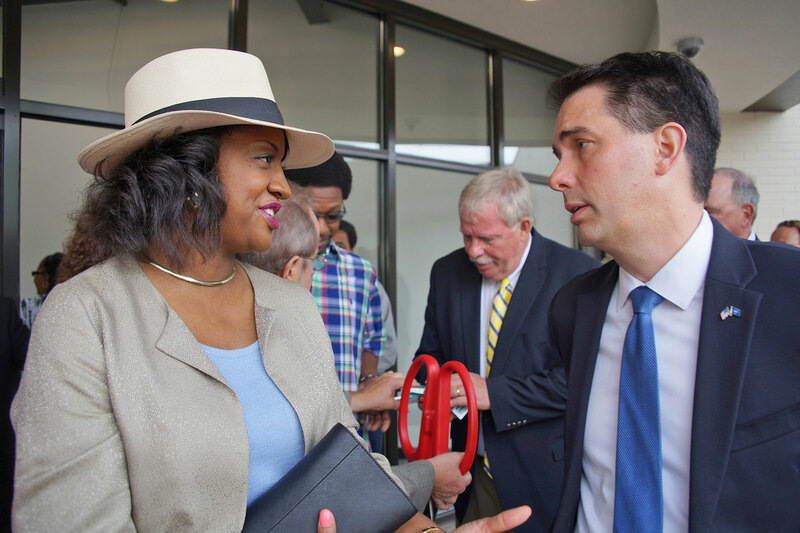 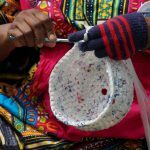 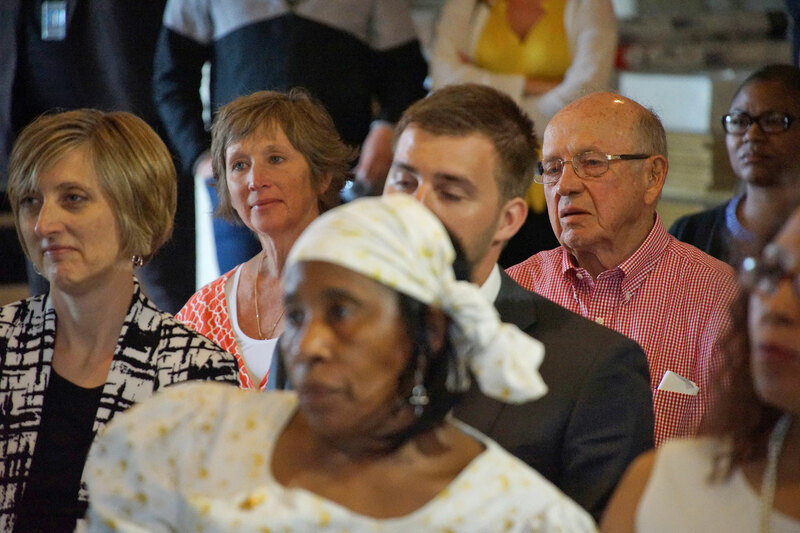 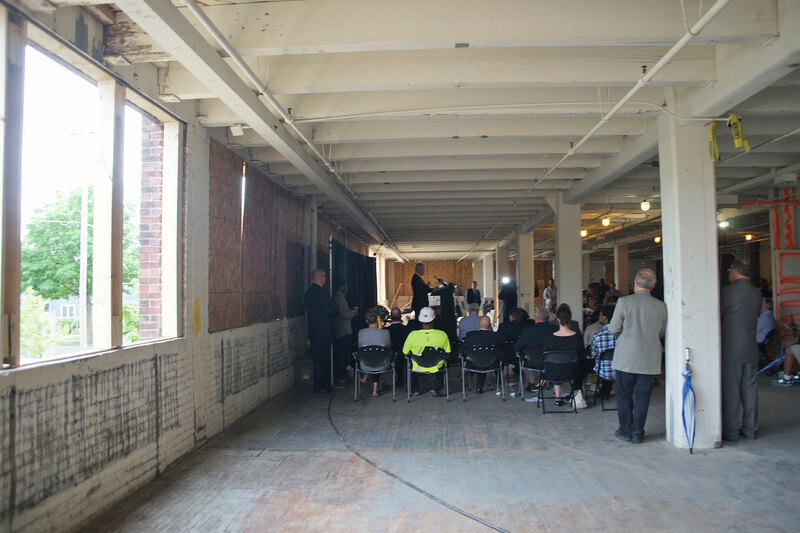 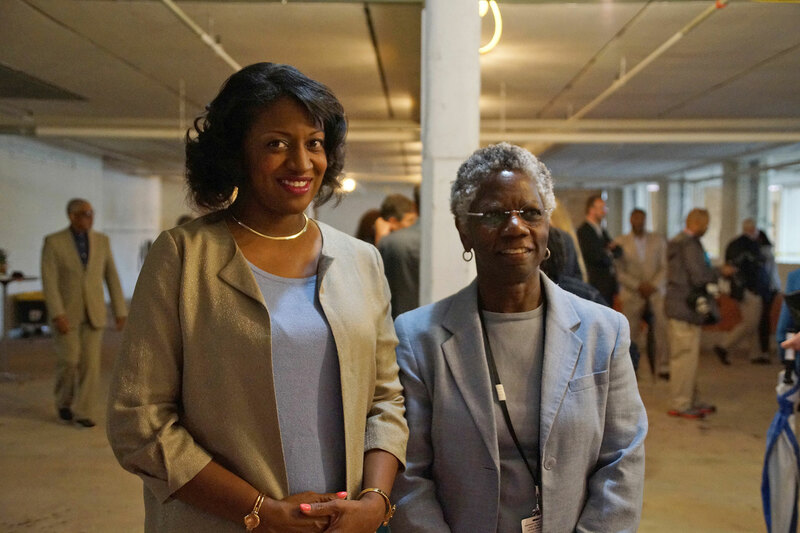 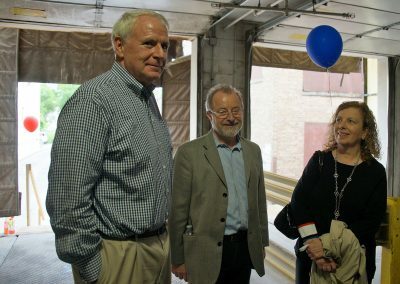 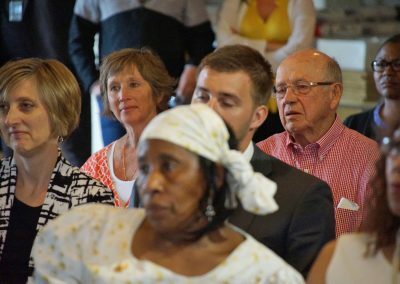 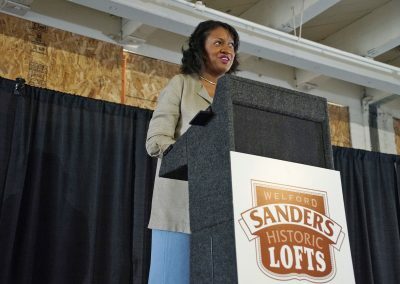 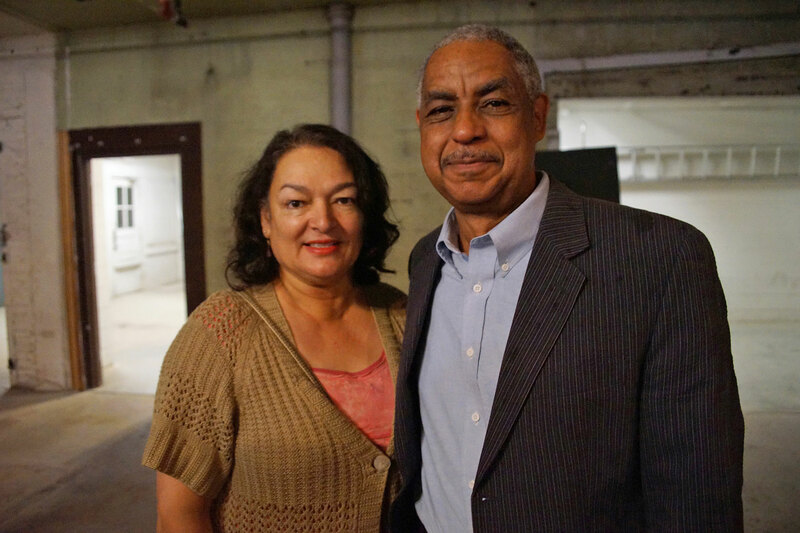 These images are from the Juneteenth Day ribbon cutting and ground breaking ceremony at the Welford Sanders Historic Lofts. 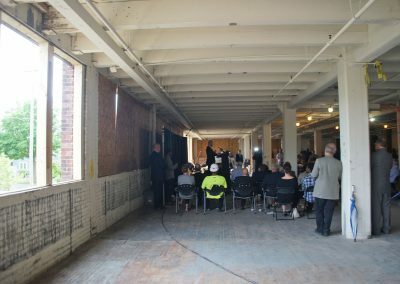 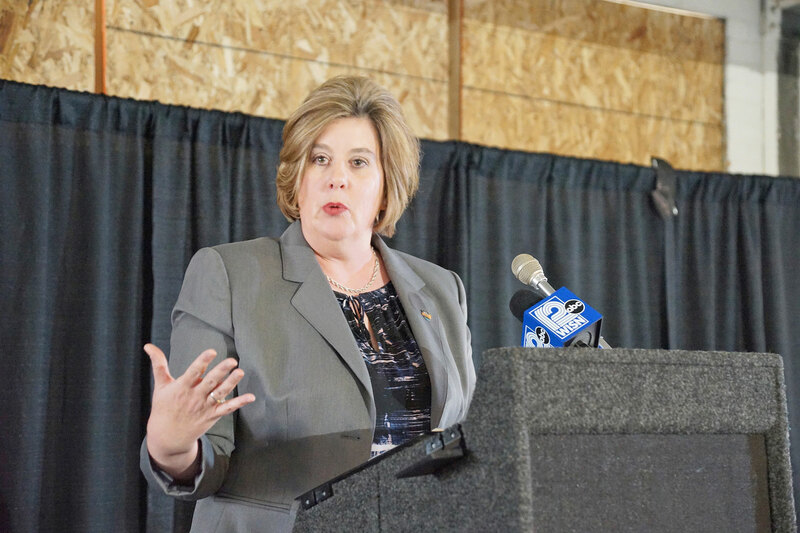 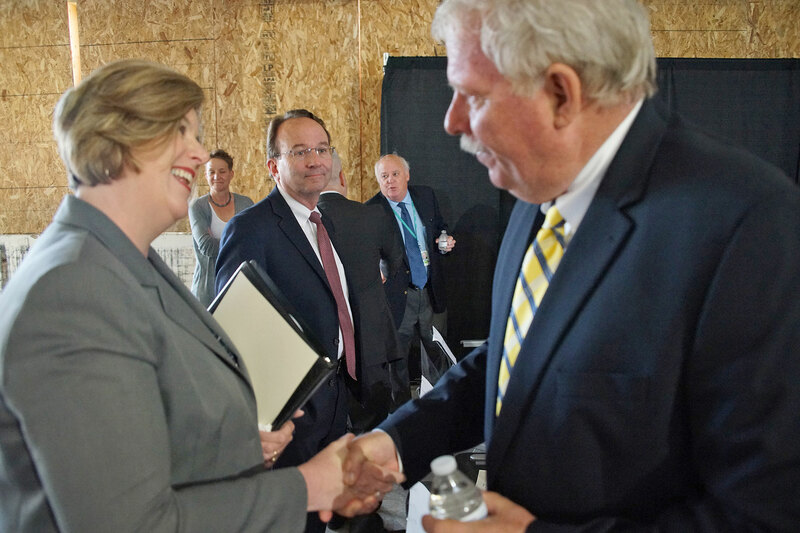 The celebration was attended by state and local officials, along with community leaders, industry partners, and members of the public.